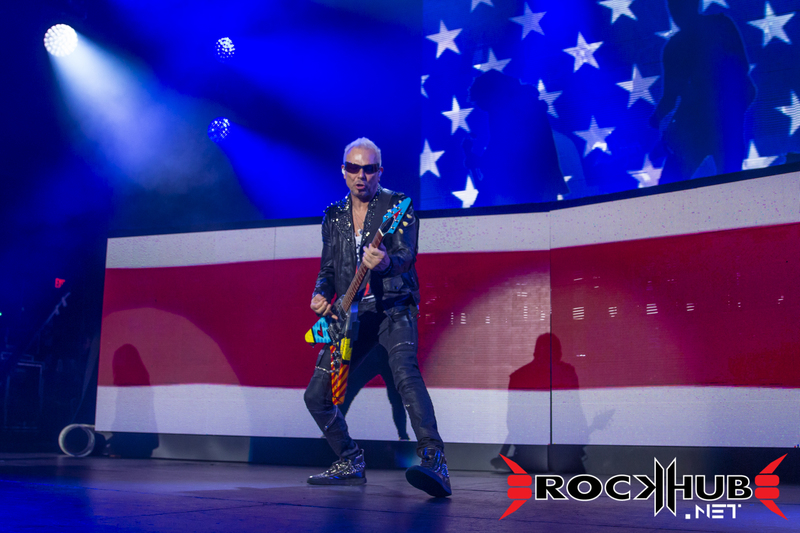 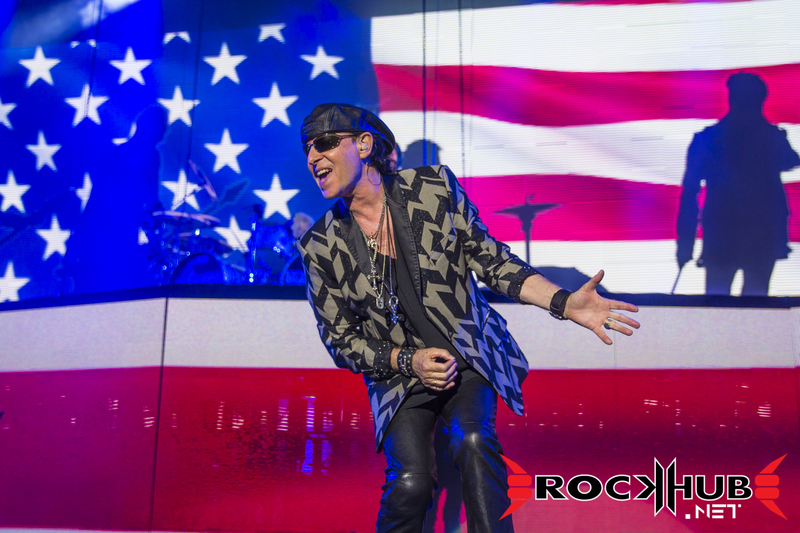 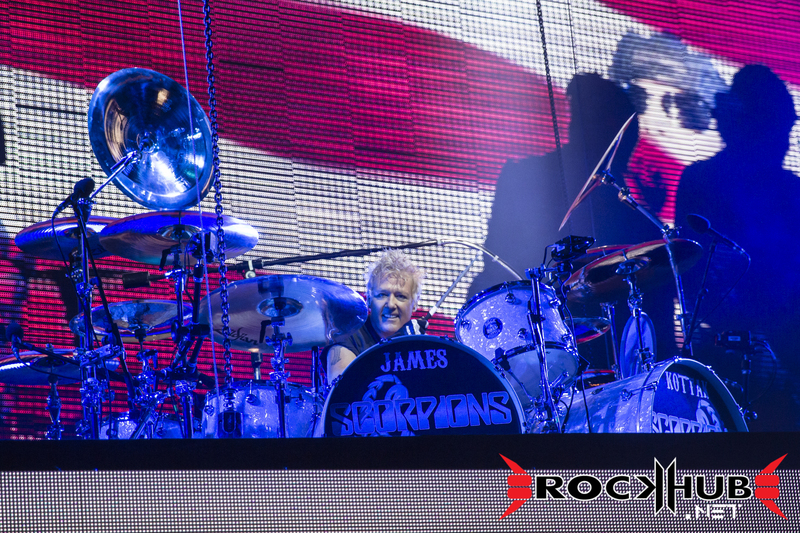 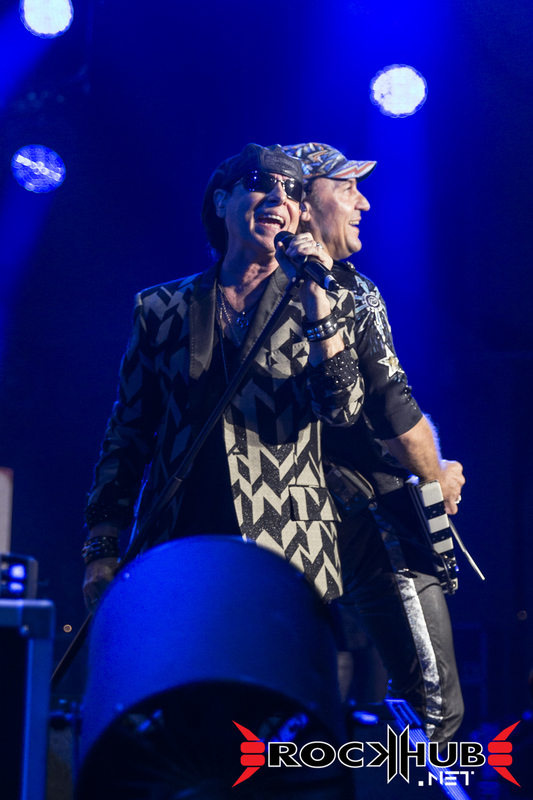 The mighty SCORPIONS kick off their US Tour in Boston. 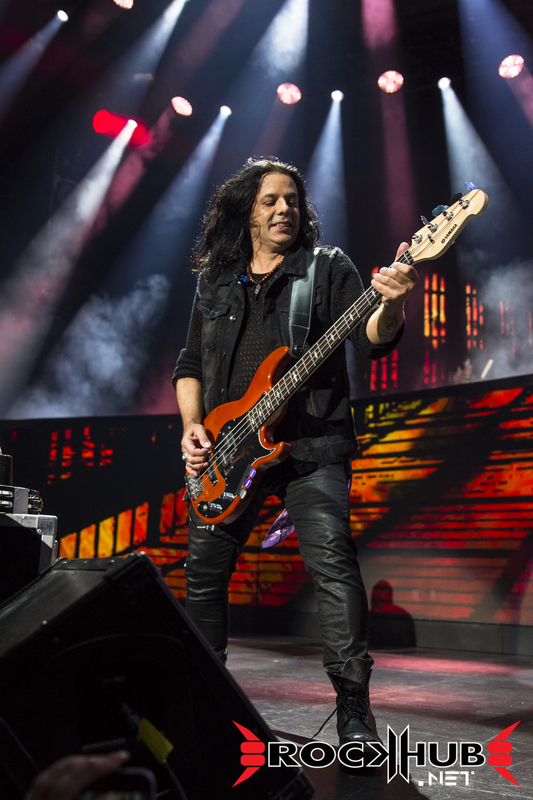 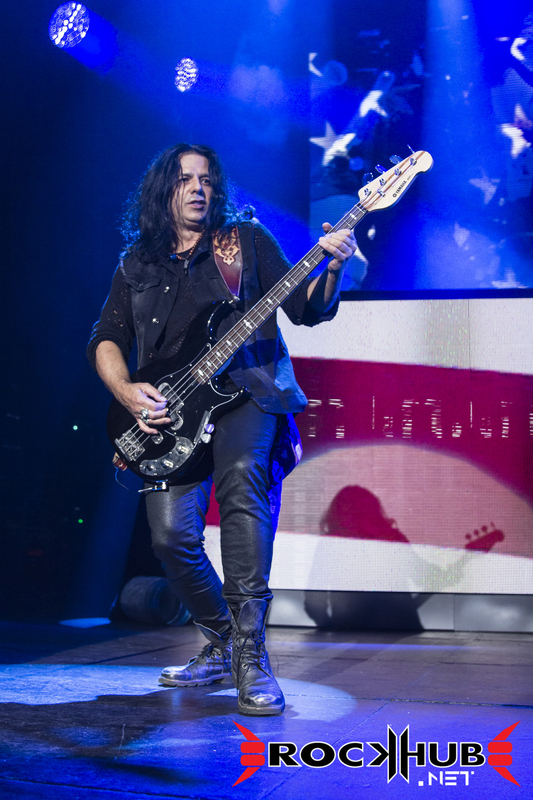 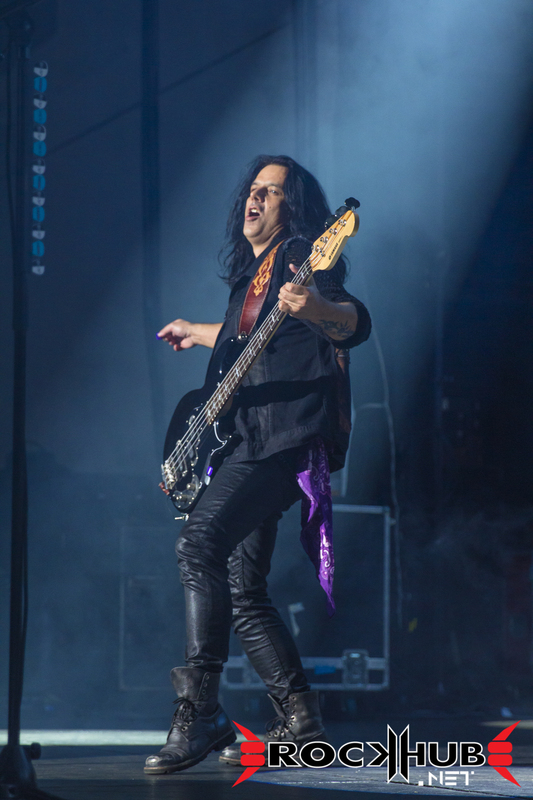 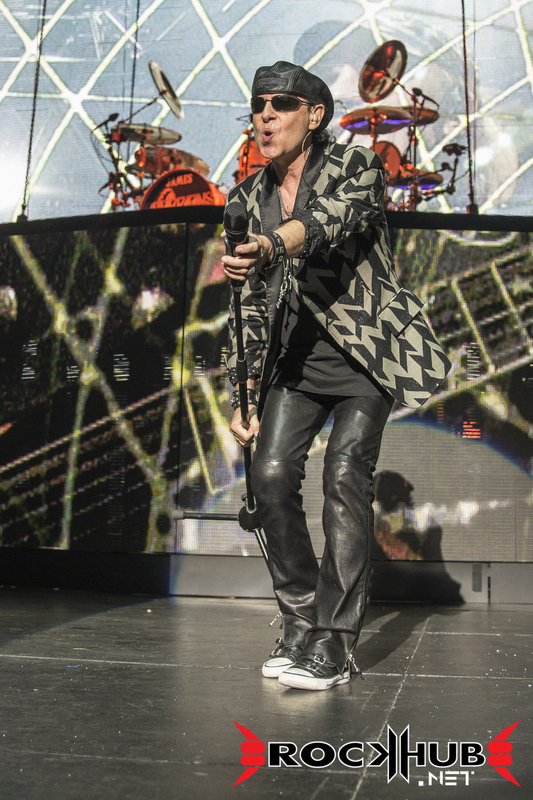 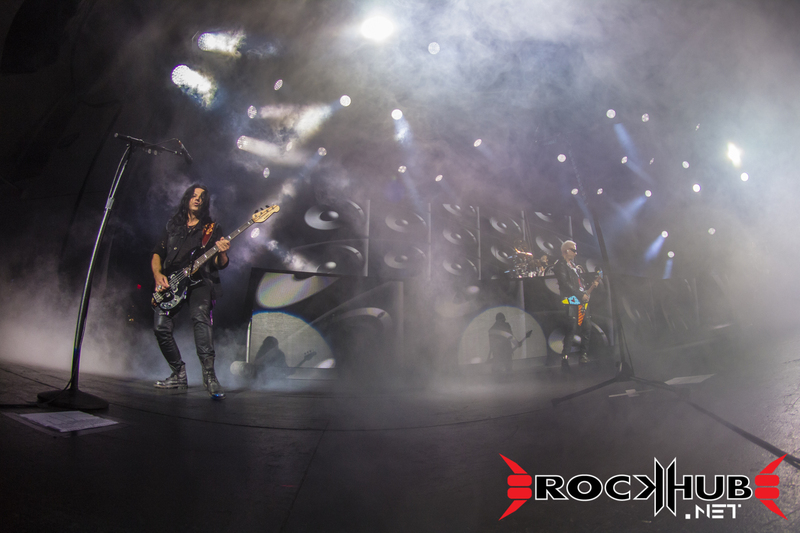 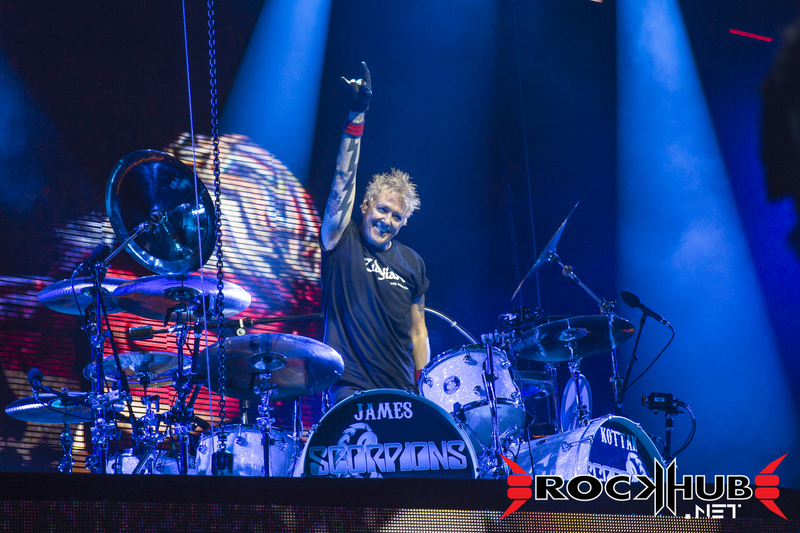 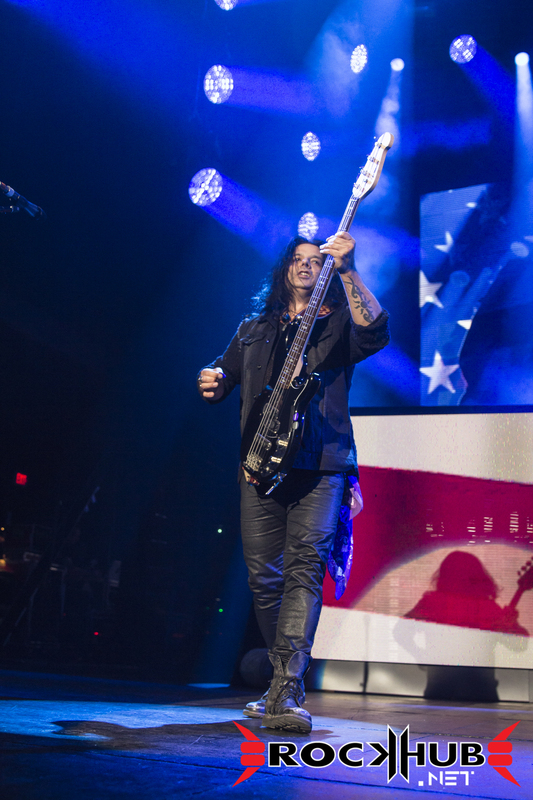 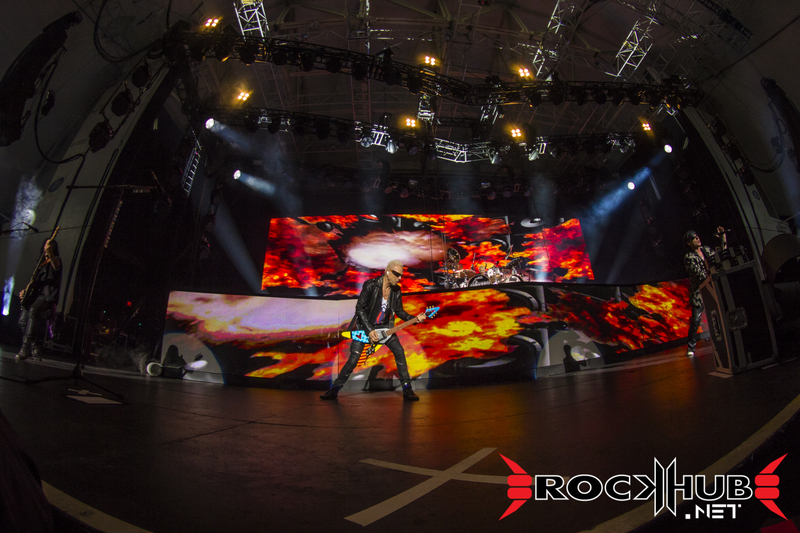 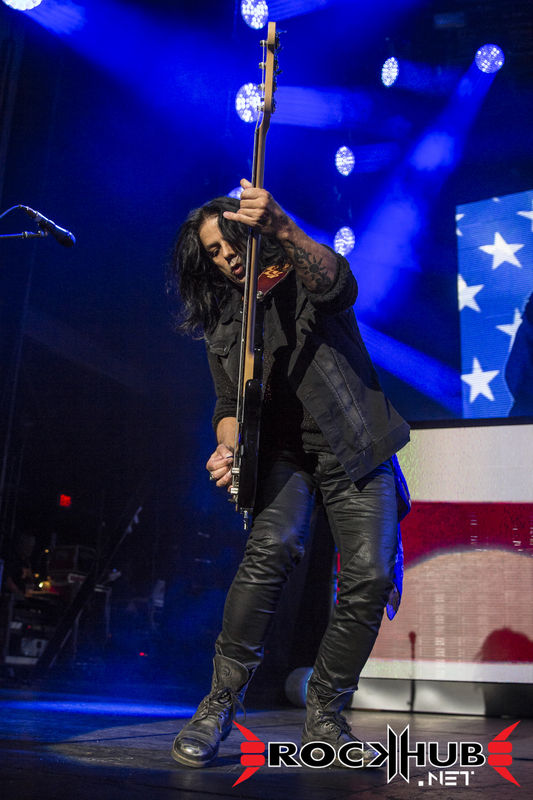 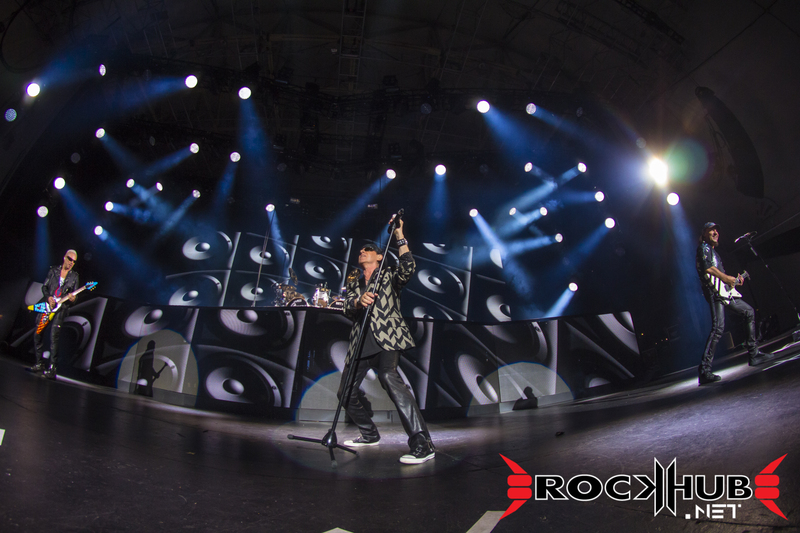 The night of September 10, 2015 was chilly and rainy in Boston, but all in attendance at the gorgeous Blue Hills Bank Pavilion were ready for some classic heavy metal. 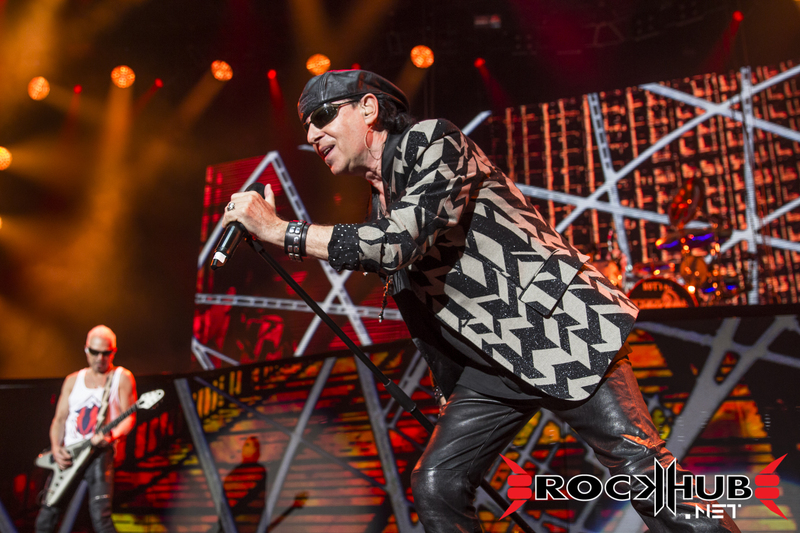 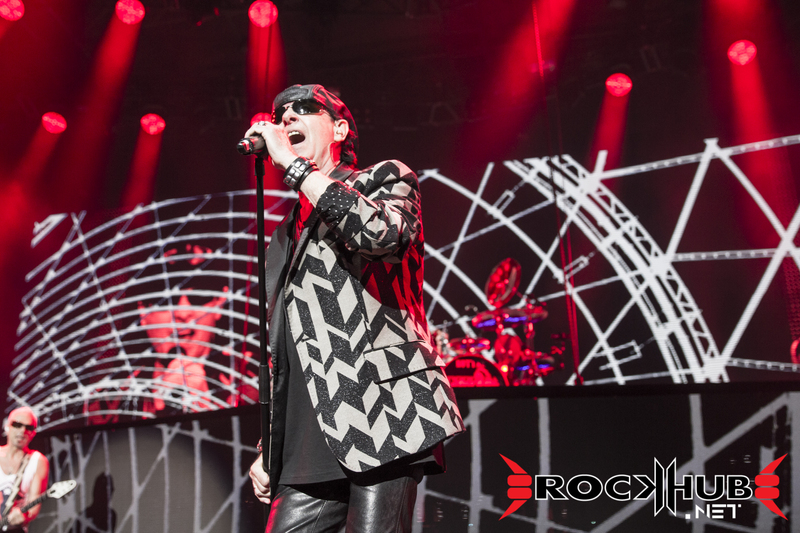 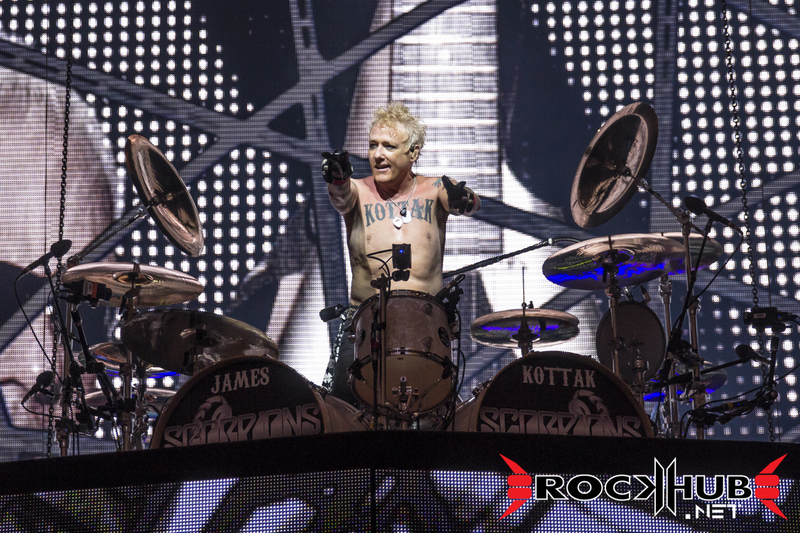 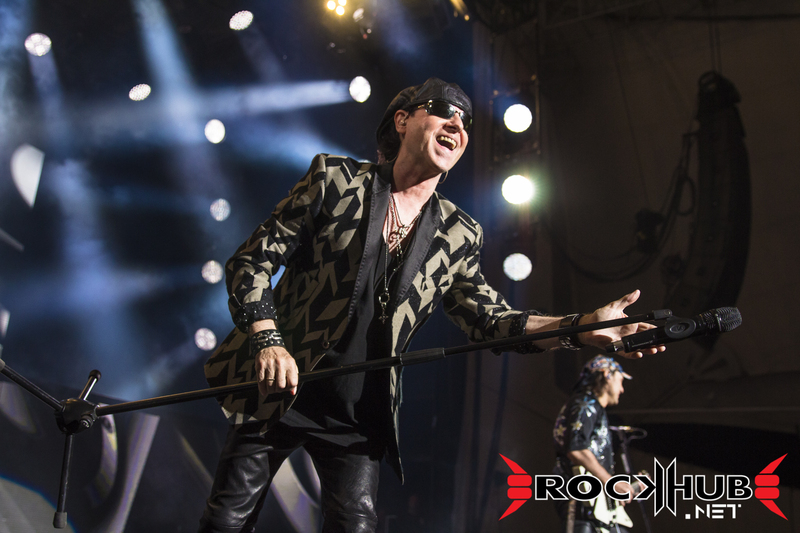 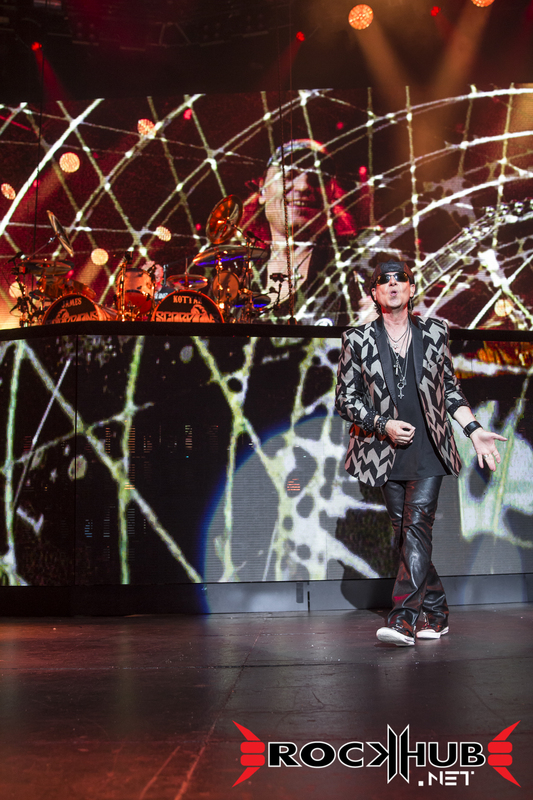 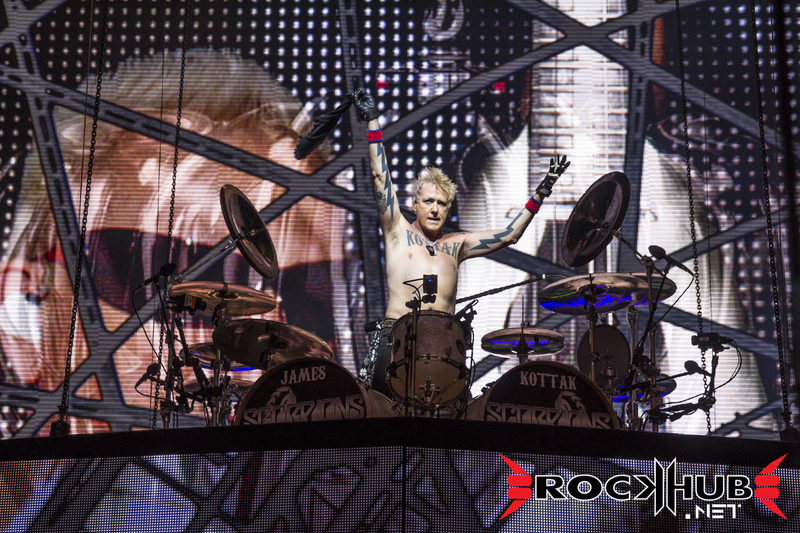 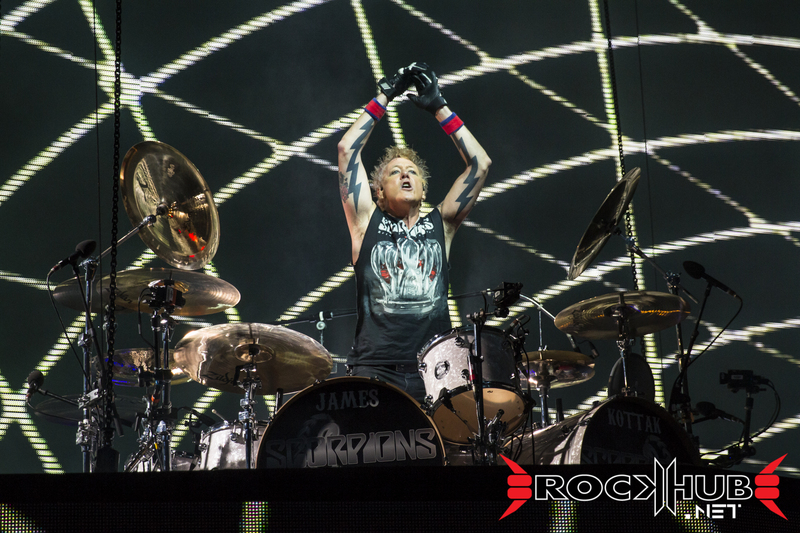 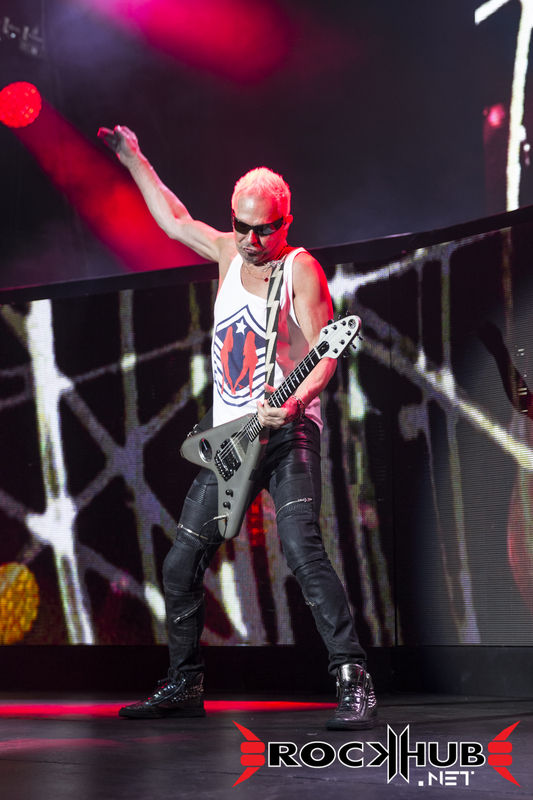 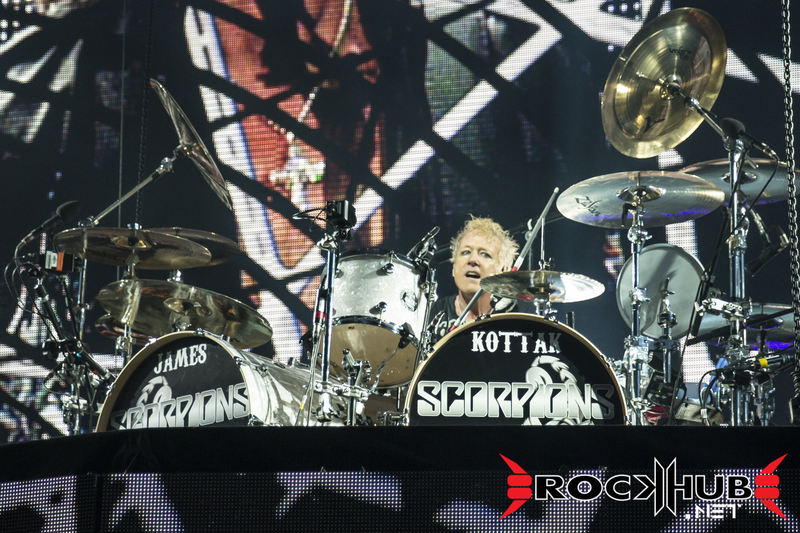 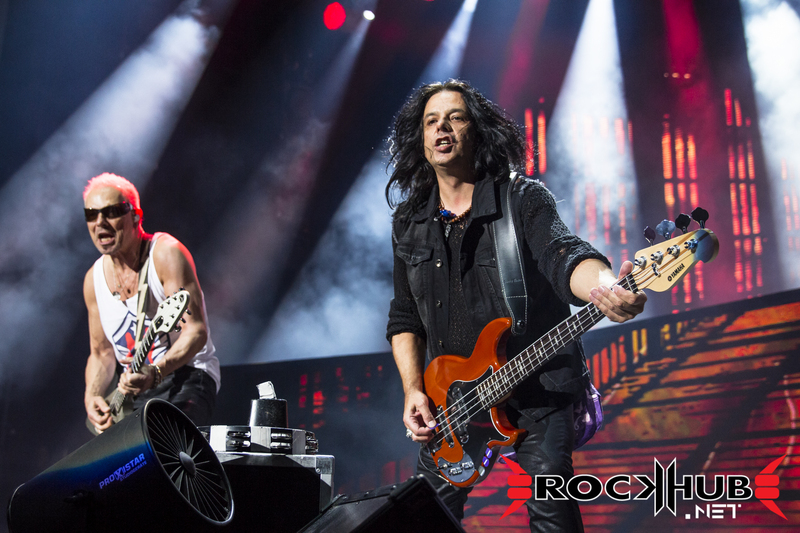 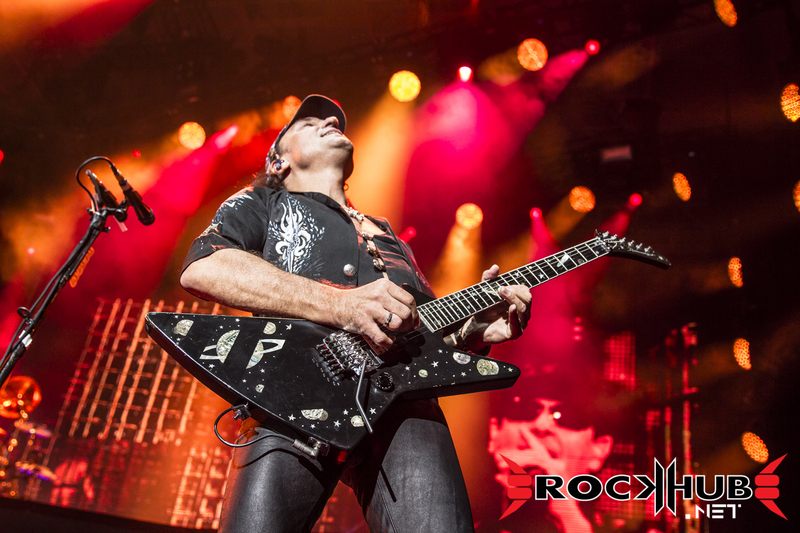 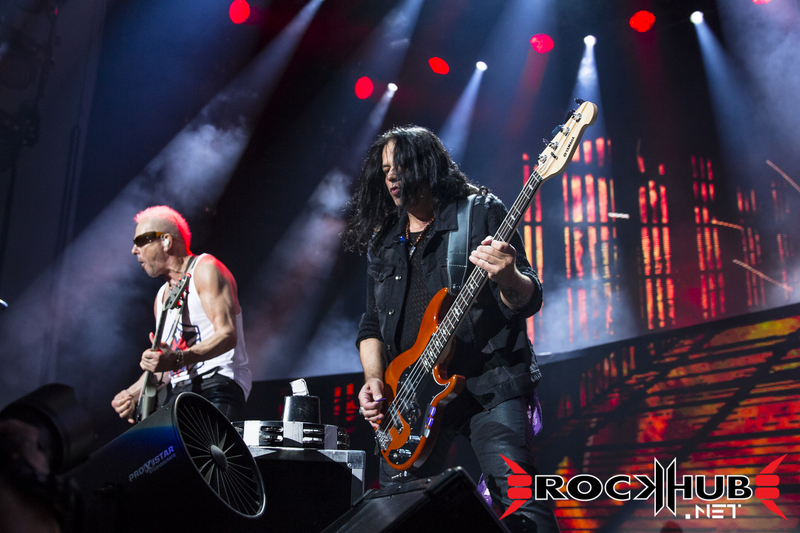 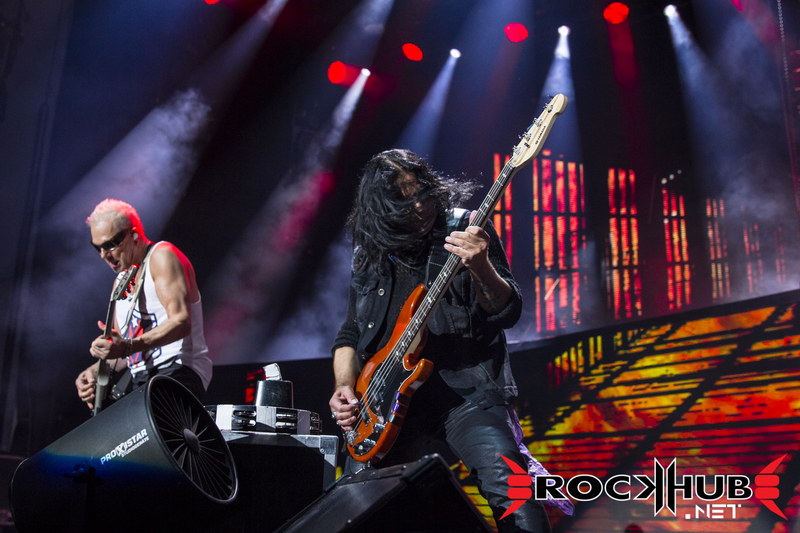 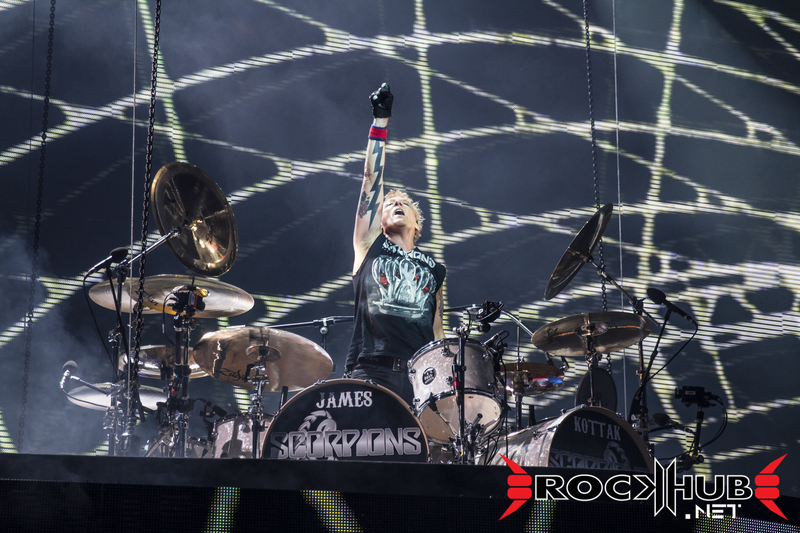 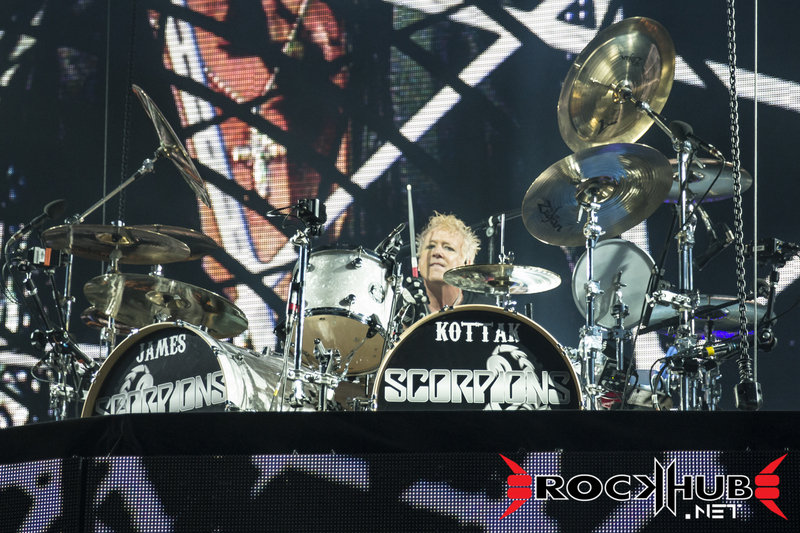 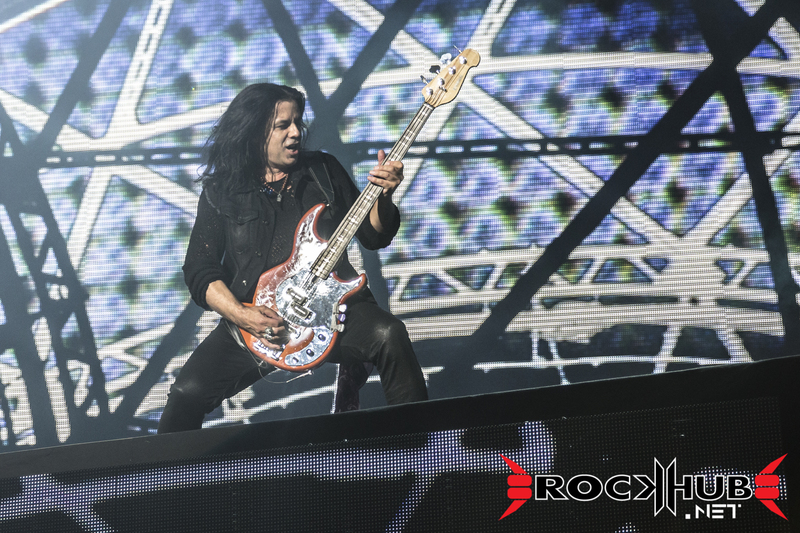 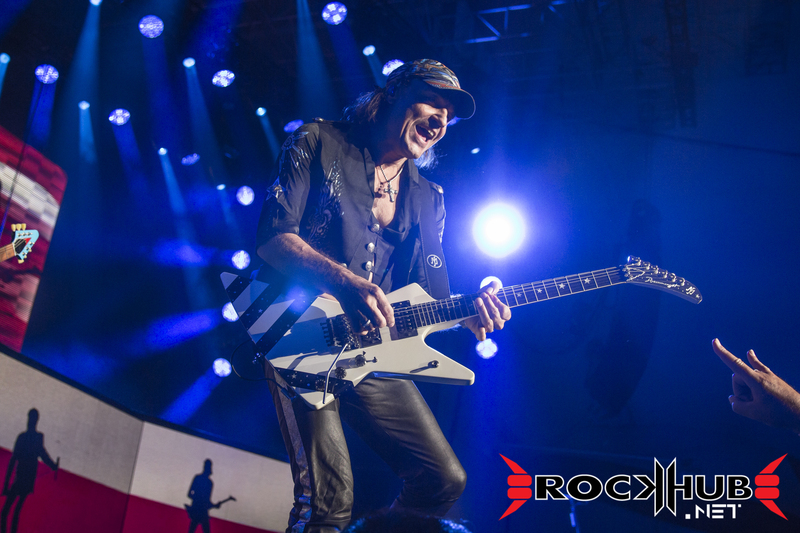 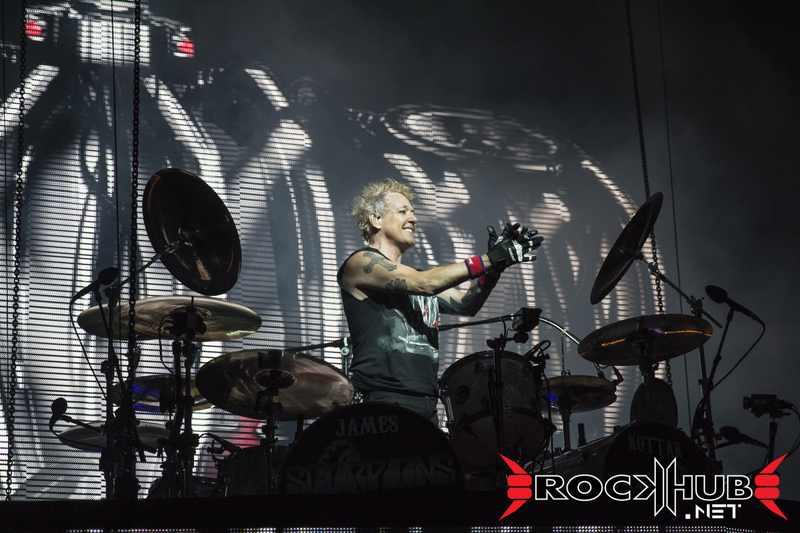 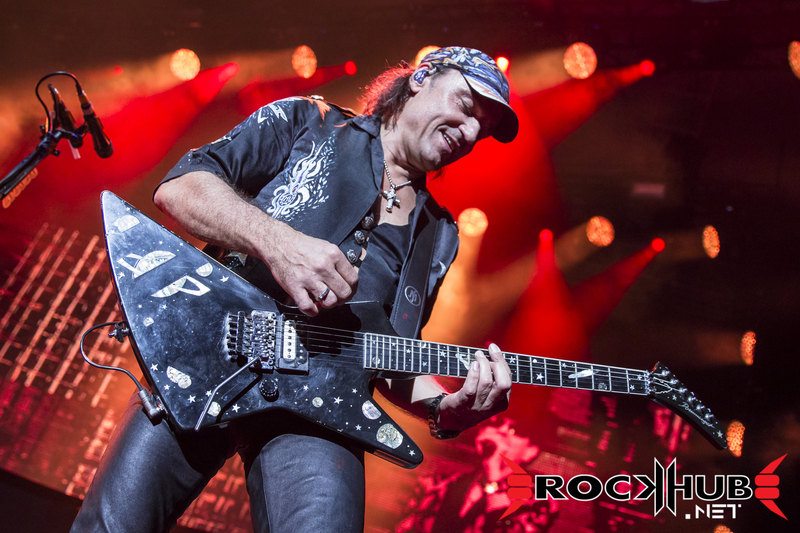 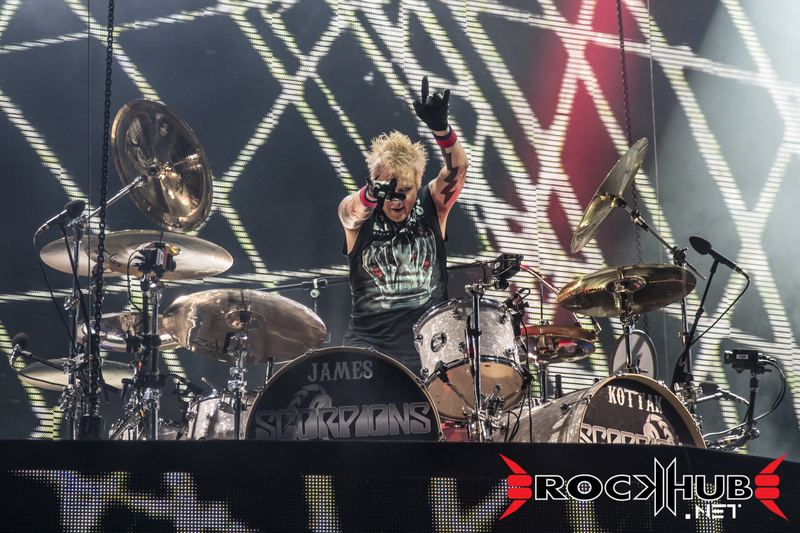 Germany’s metal powerhouse SCORPIONS came out strong and ready to show everyone how a real rock band does it. 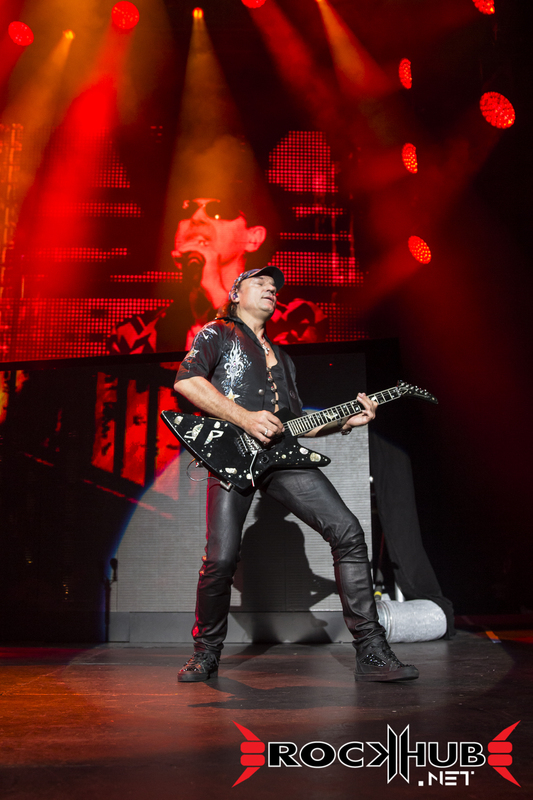 For a 50-year-old band, SCORPIONS look and sound spectacular. 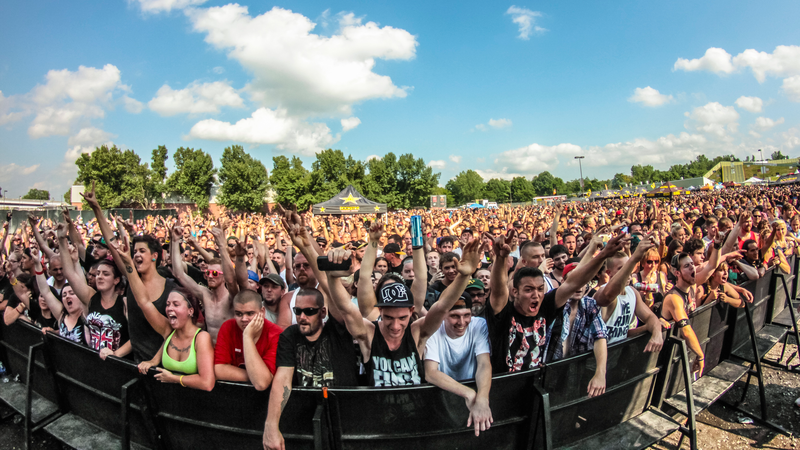 Let’s face it, these people are no teenagers. 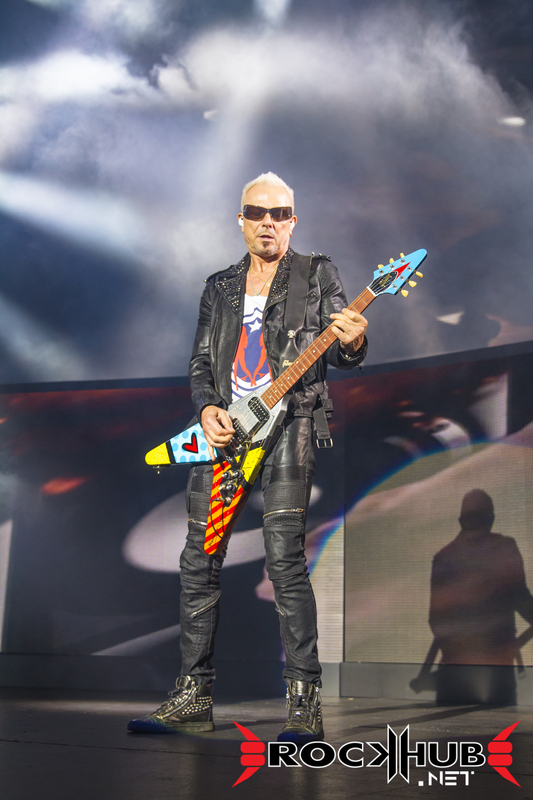 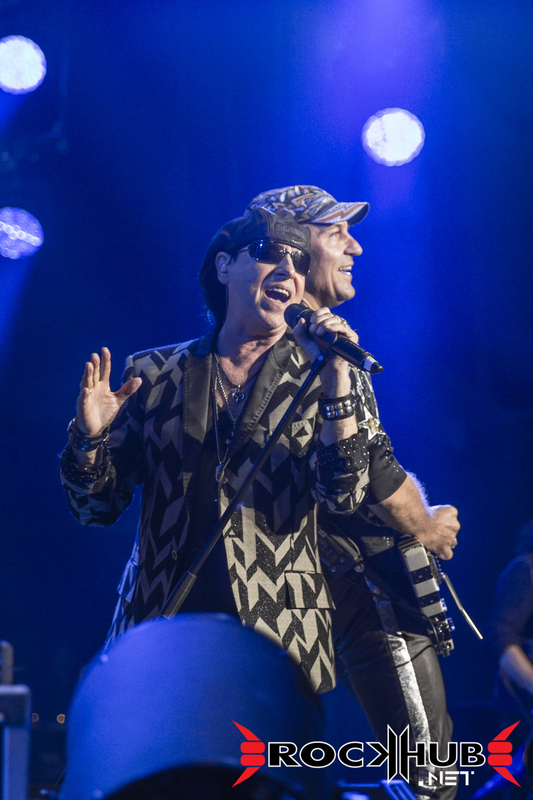 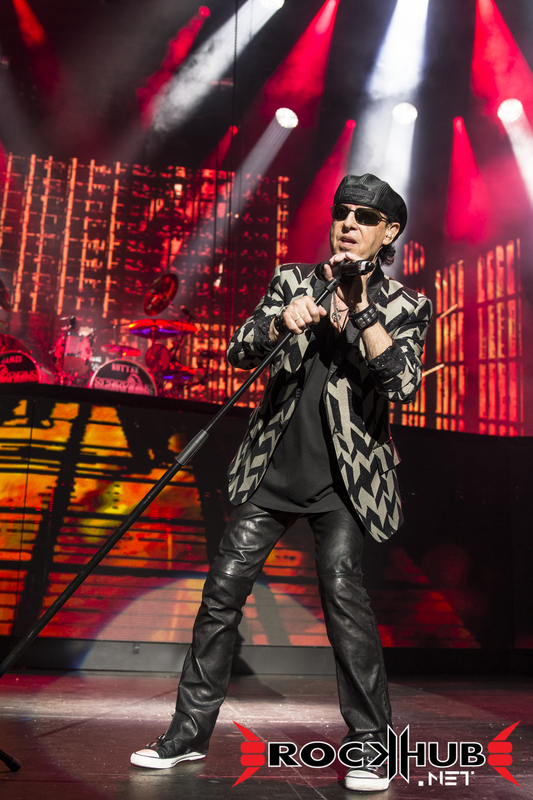 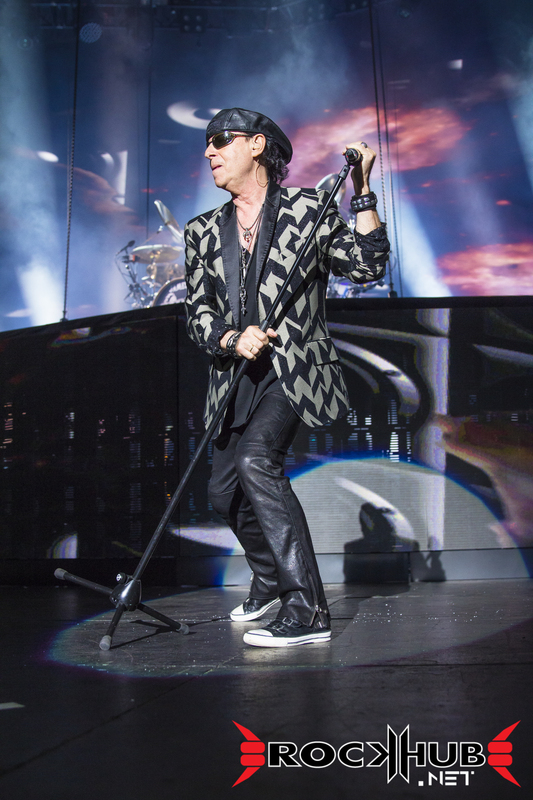 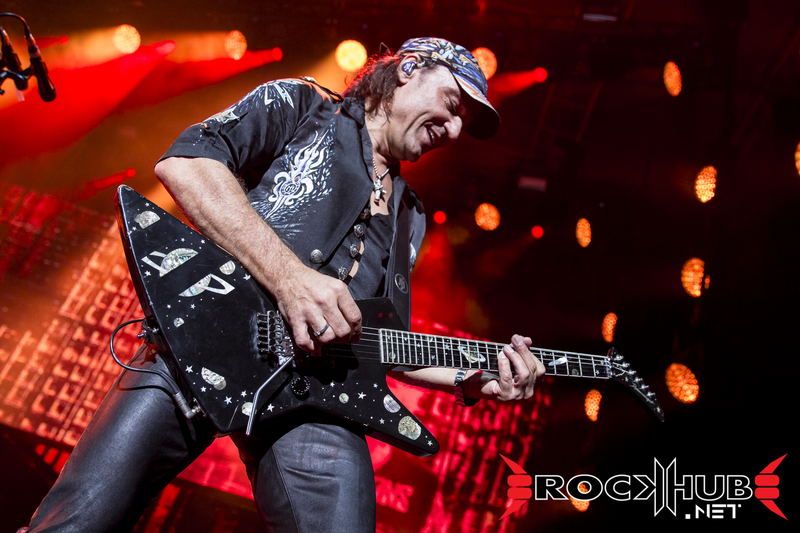 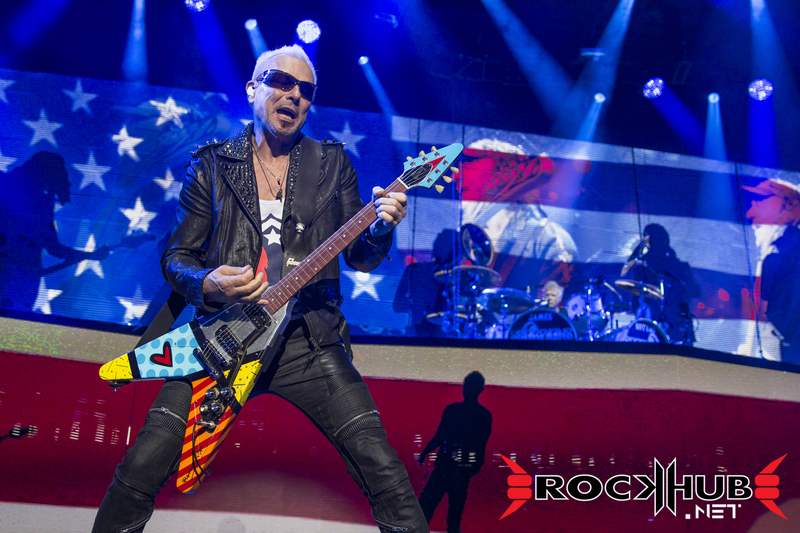 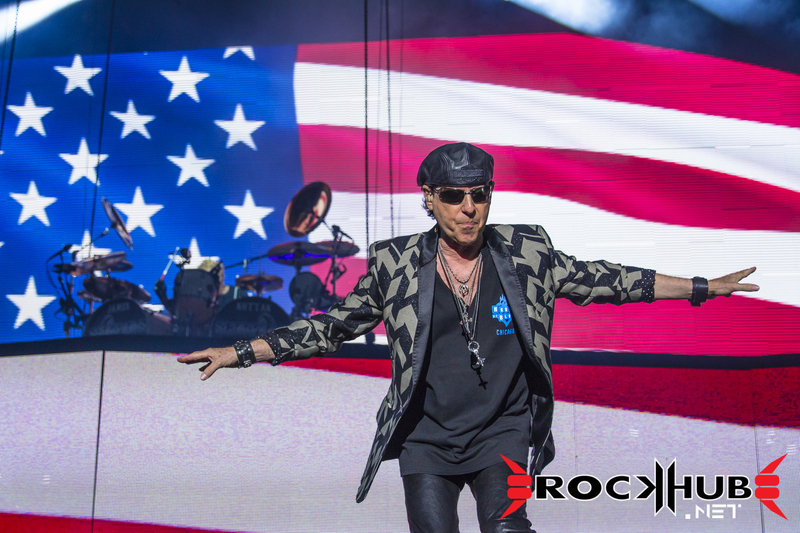 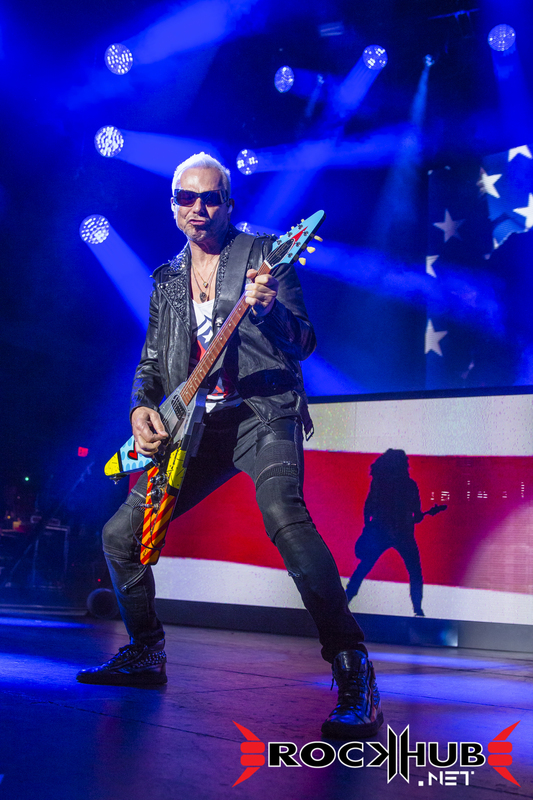 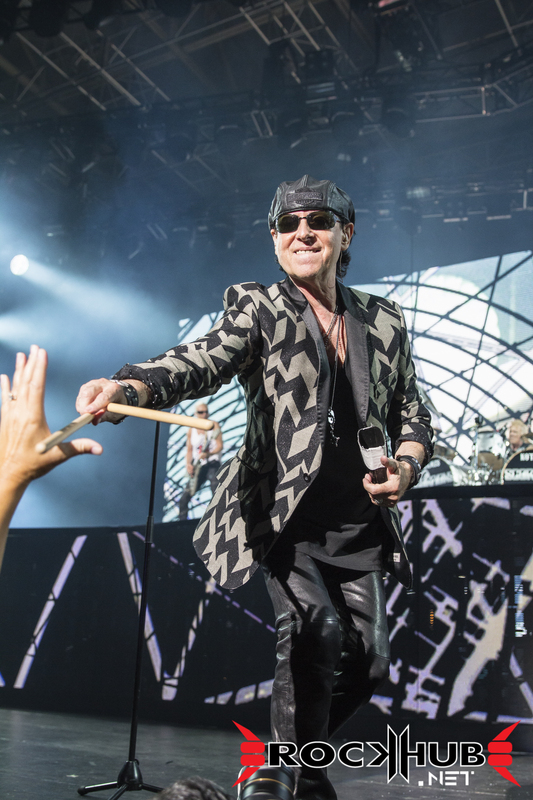 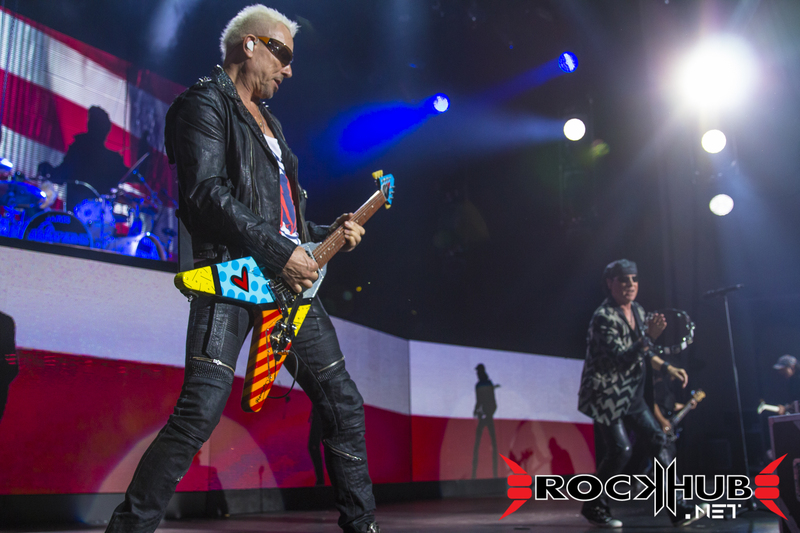 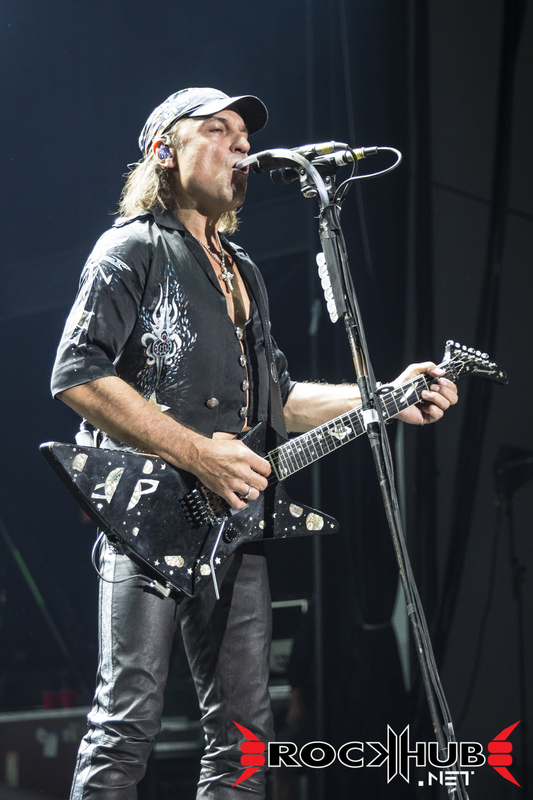 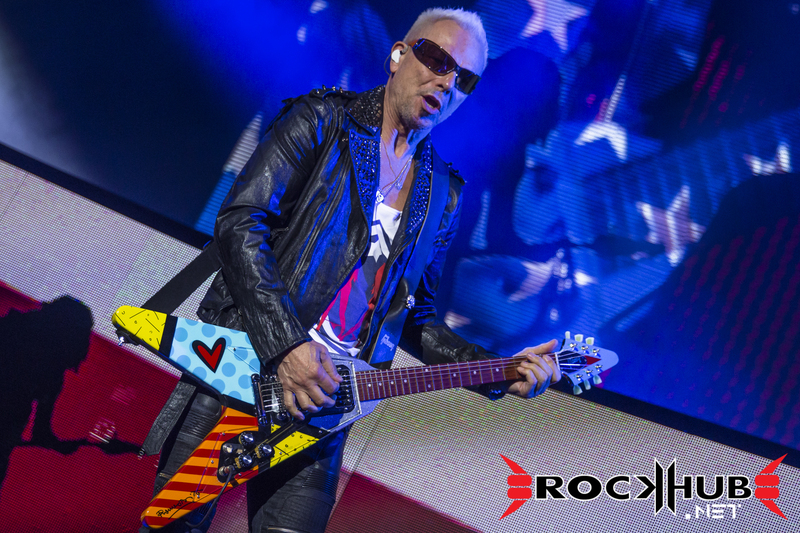 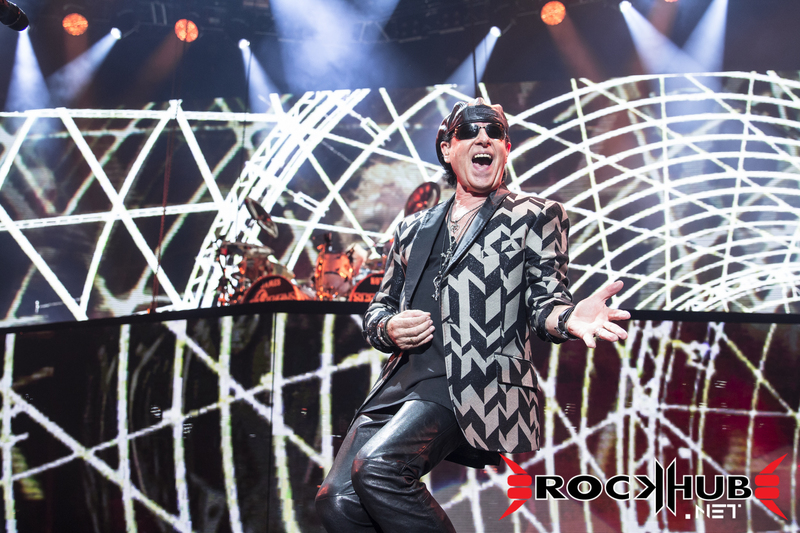 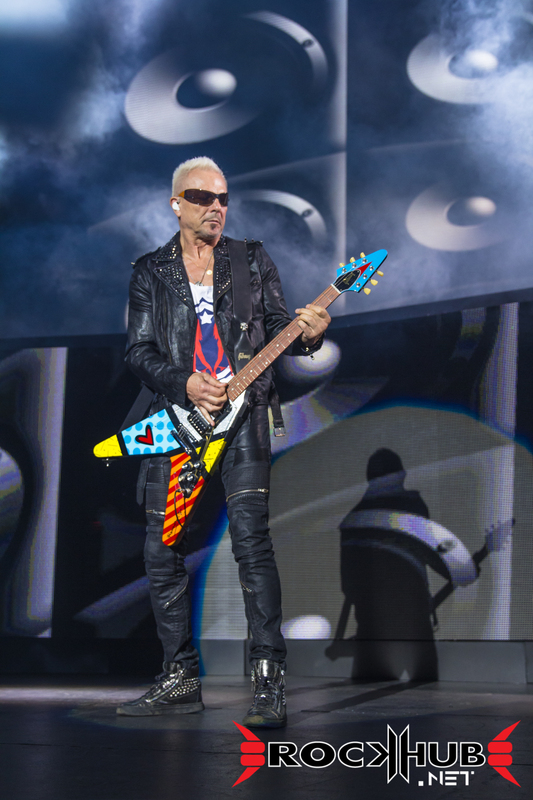 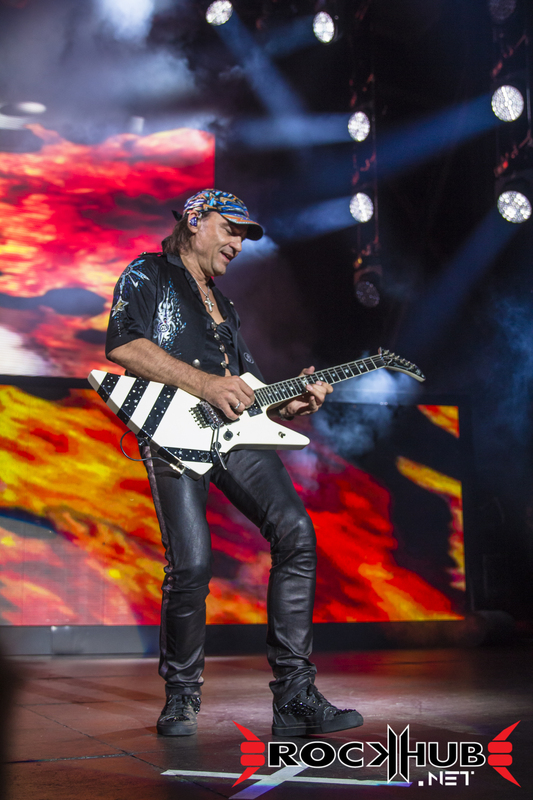 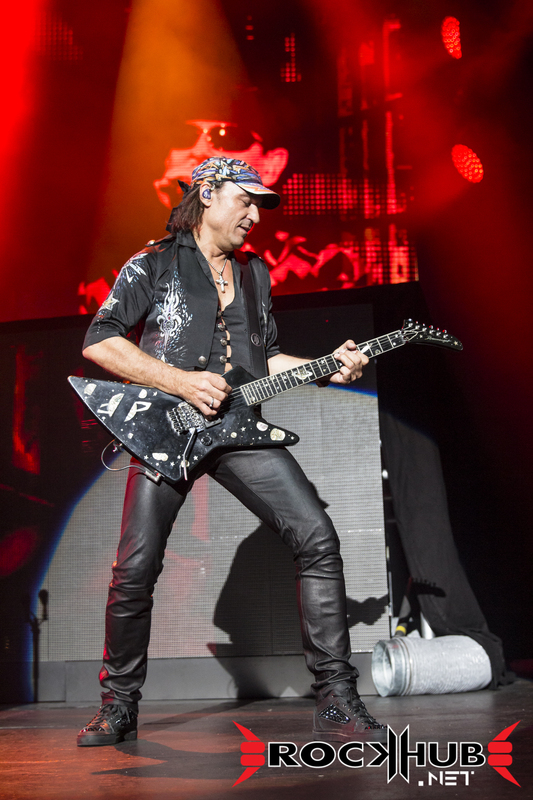 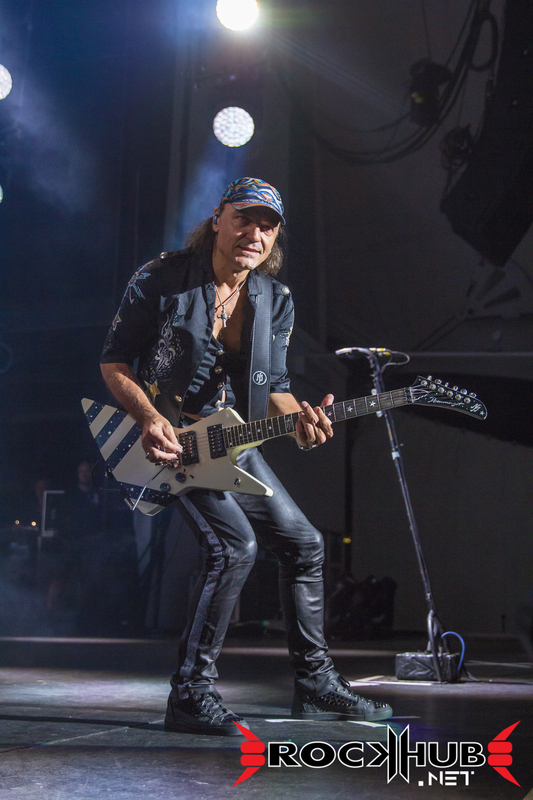 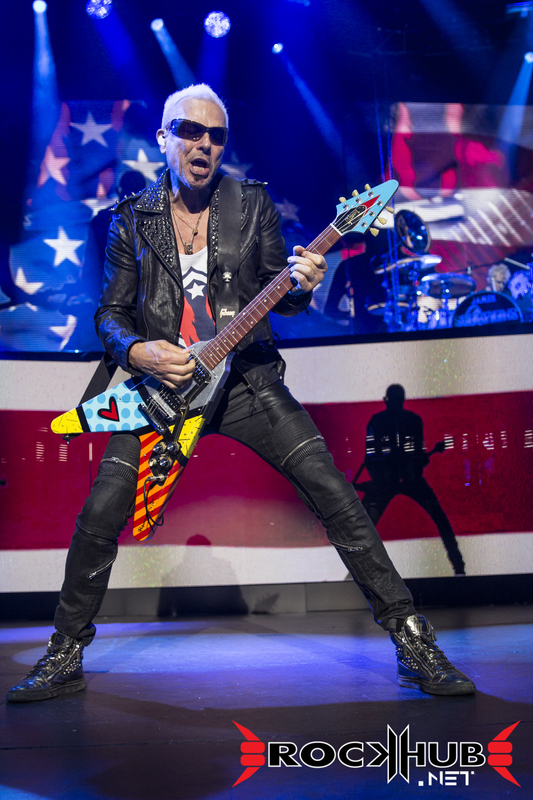 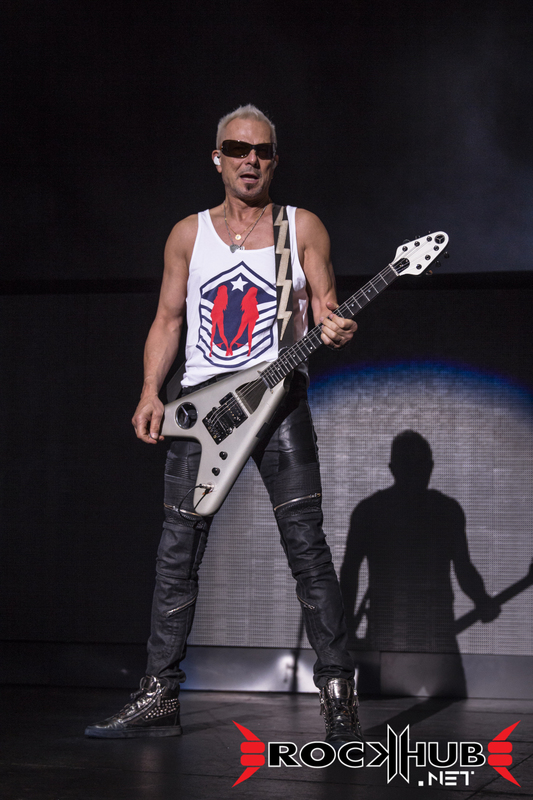 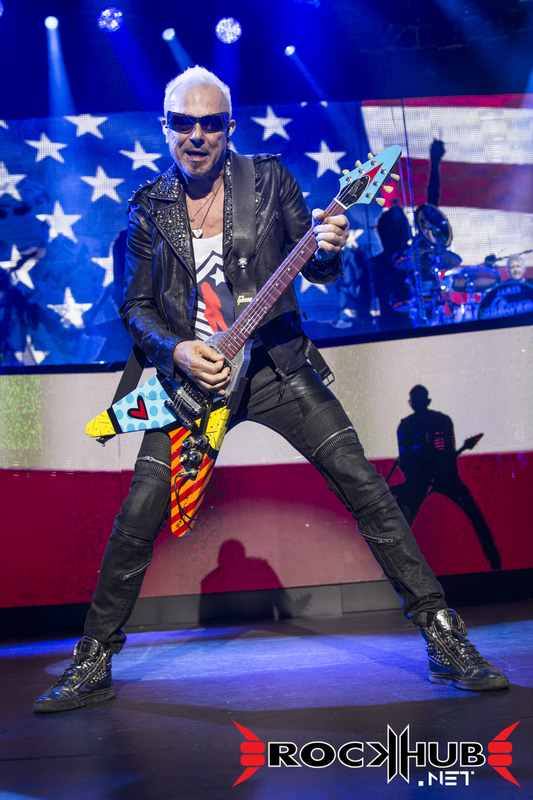 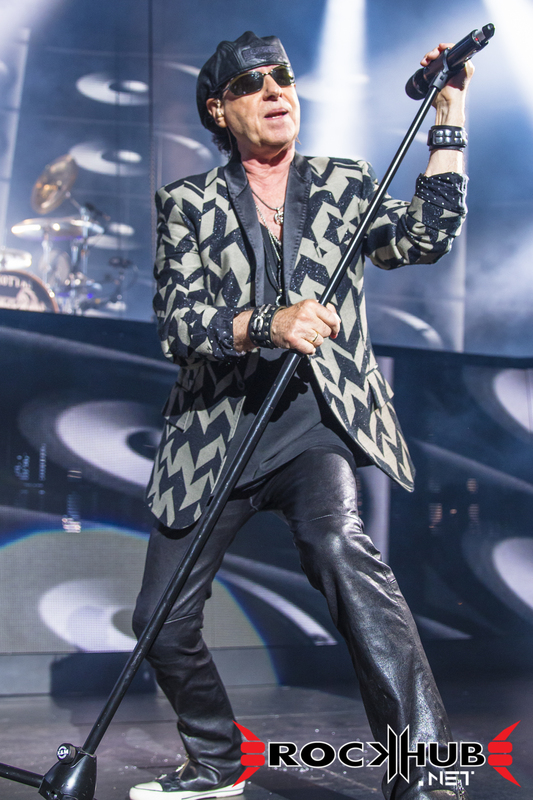 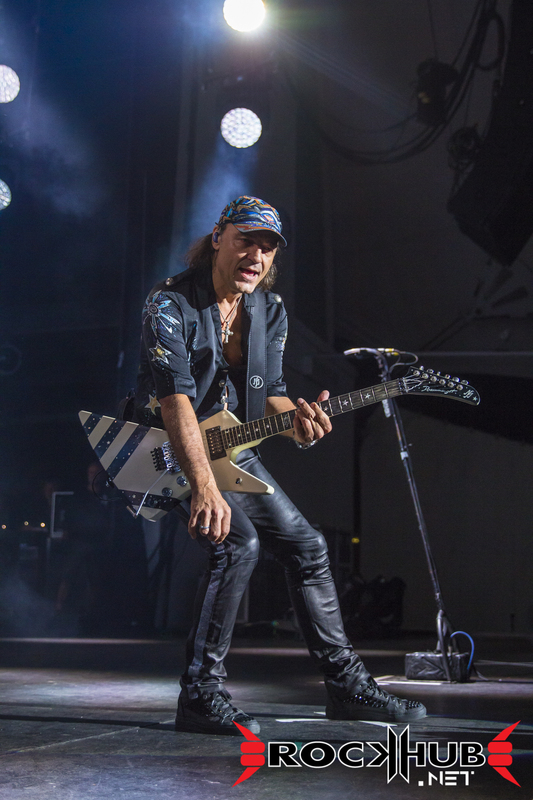 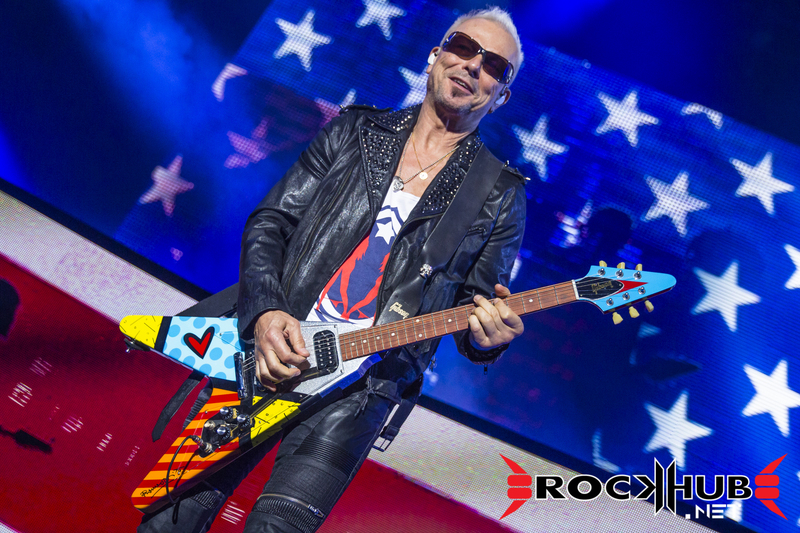 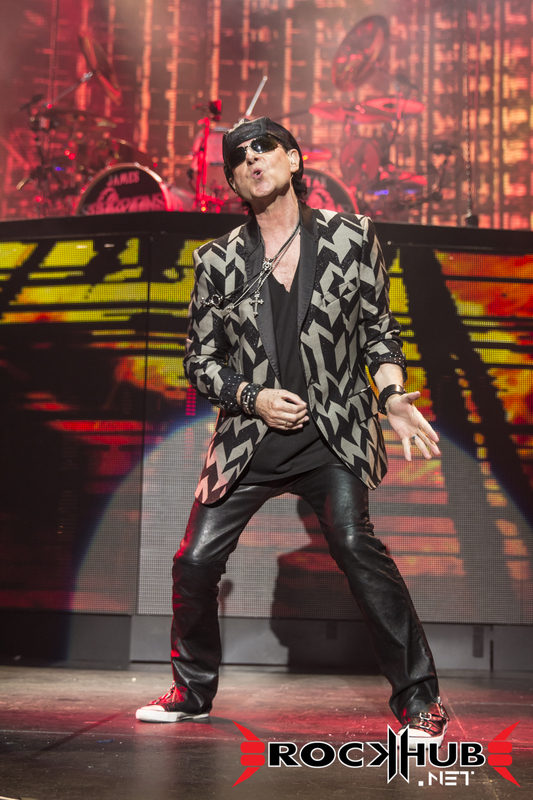 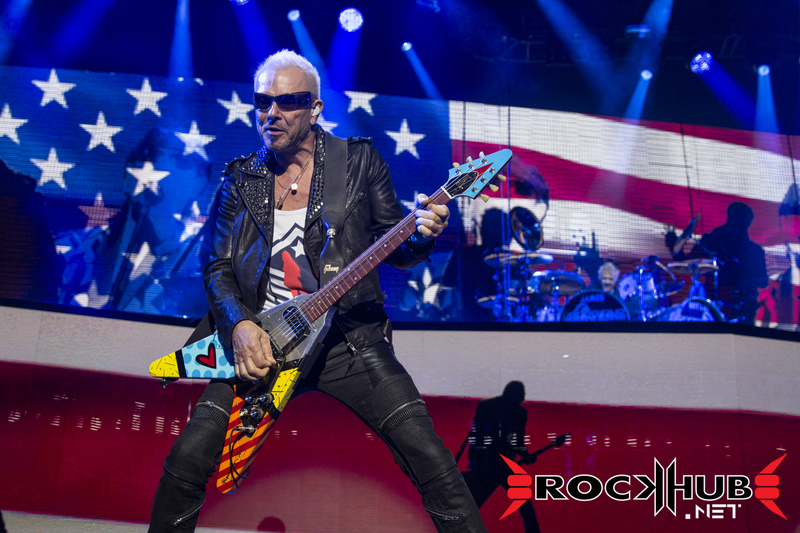 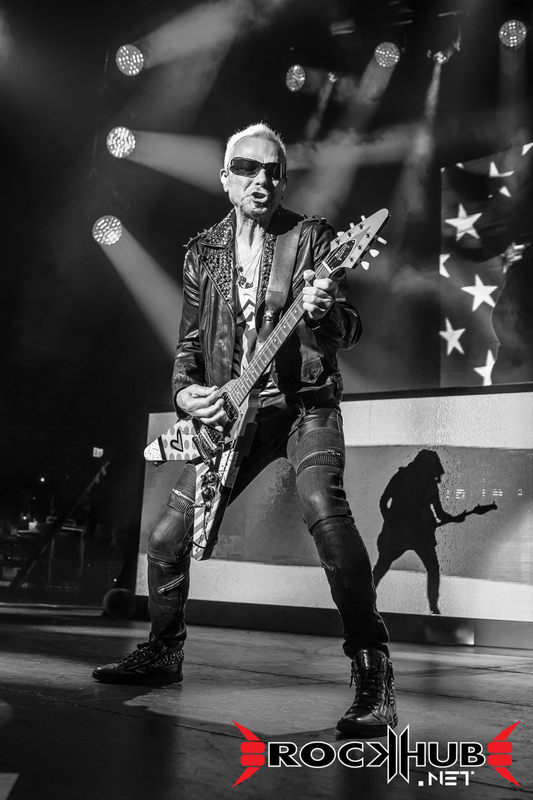 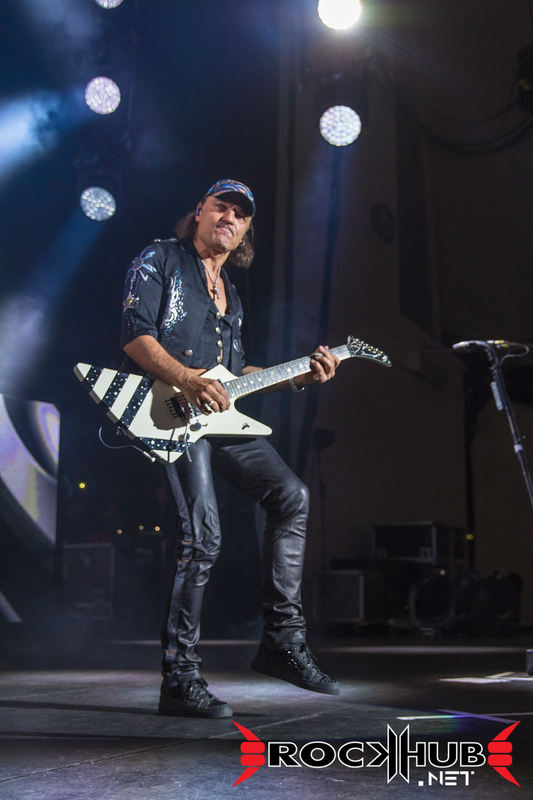 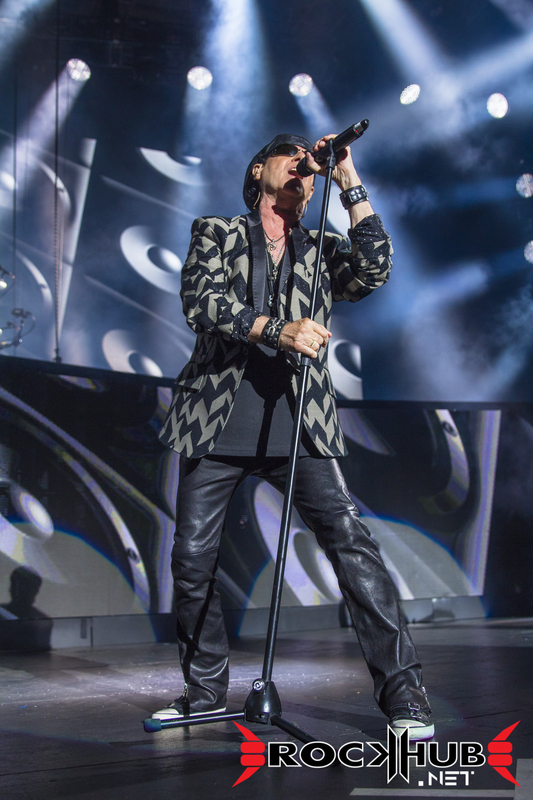 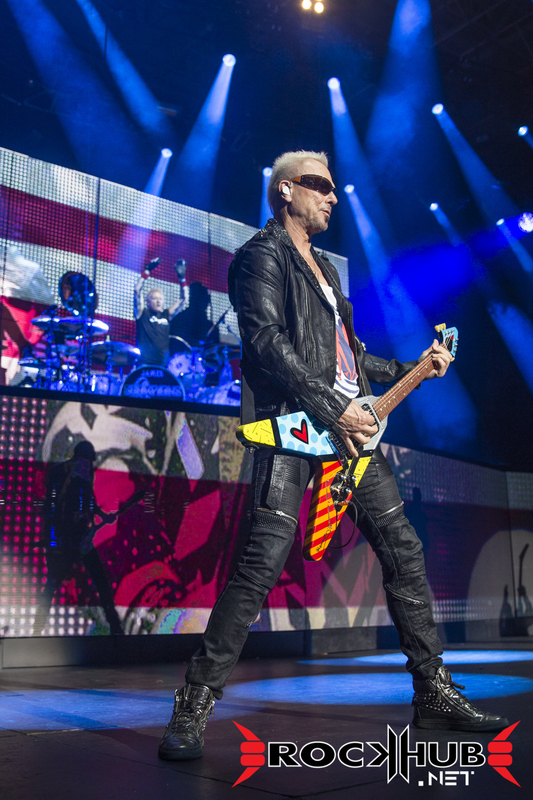 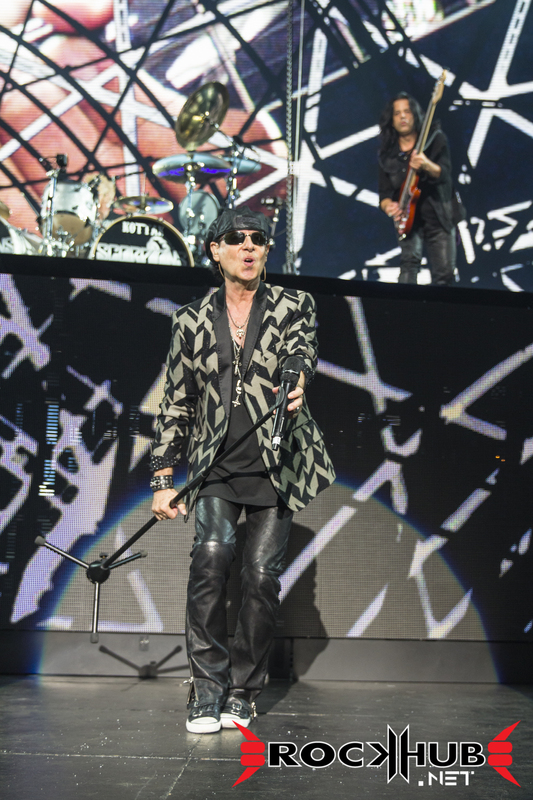 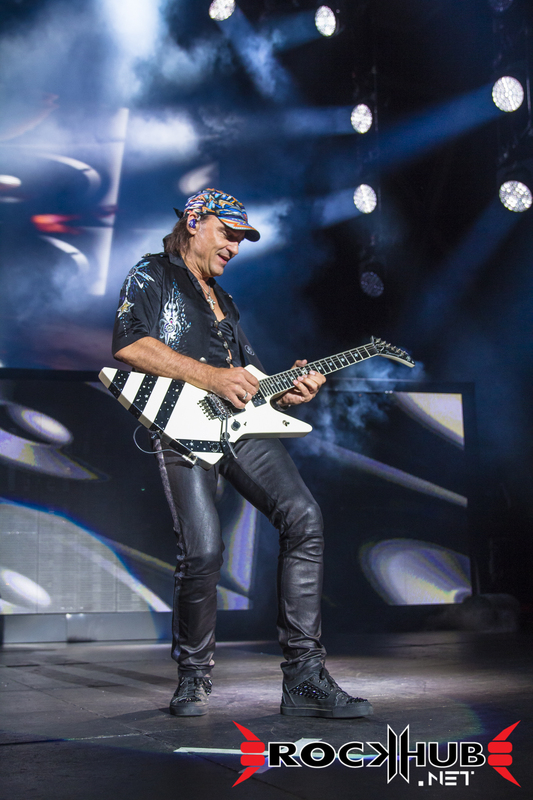 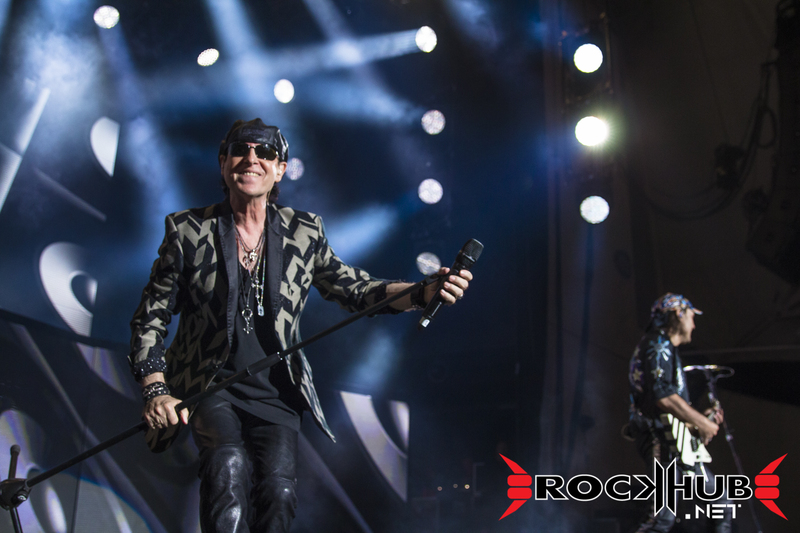 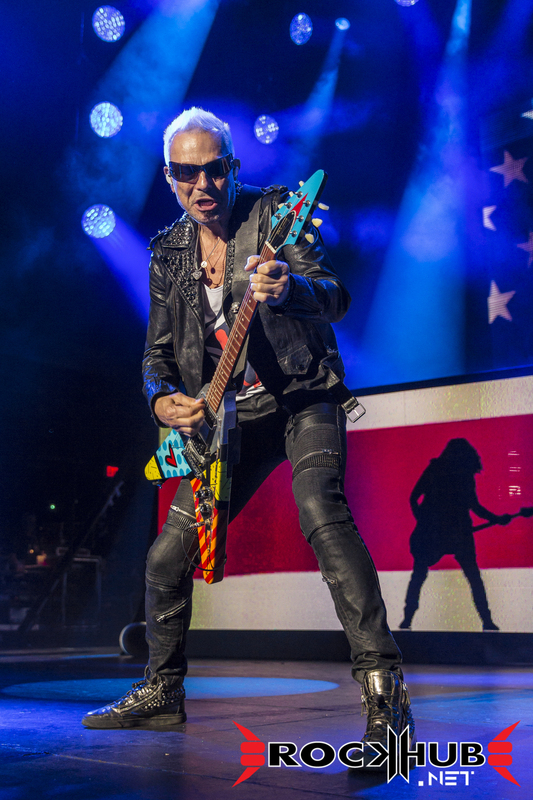 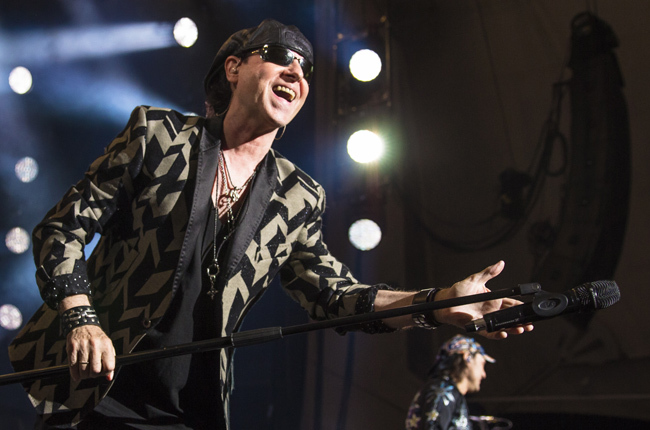 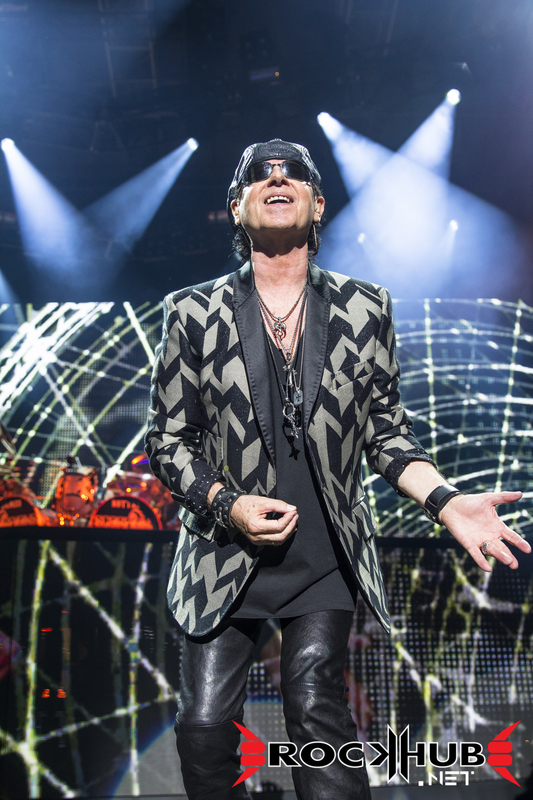 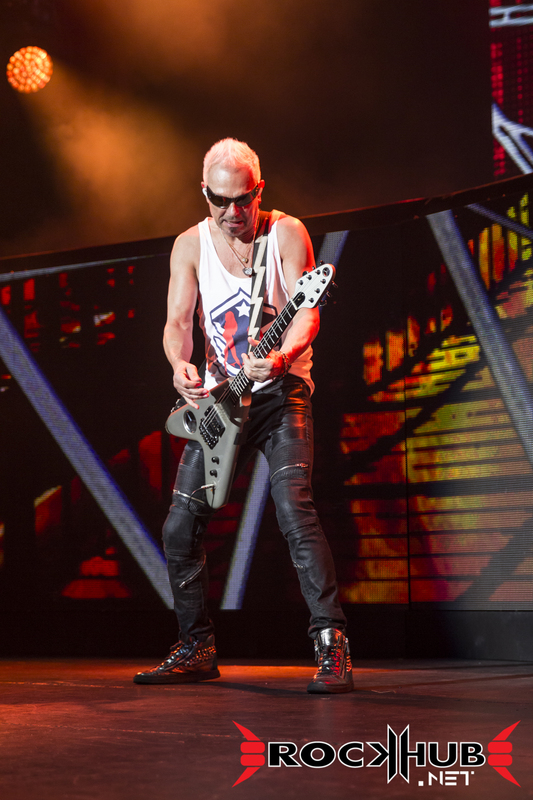 Both singer Klaus Meine and guitarist Rudolf Schenker are in their late 60s, and long-time guitarist Matthias Jabs will reach his own 60th birthday milestone next month. 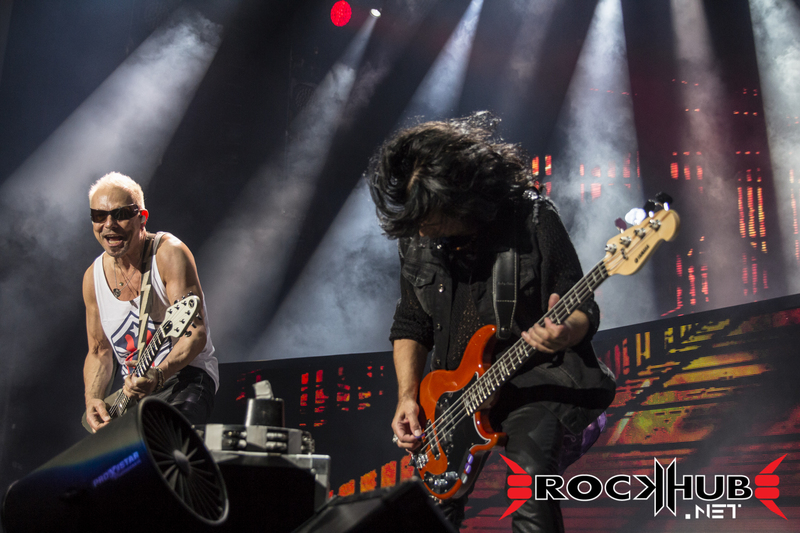 But for them, it seems that age is just a number, because they rocked the stage and captivated the audience like few bands can with their unique music style, classic smash hits, and stage antics. 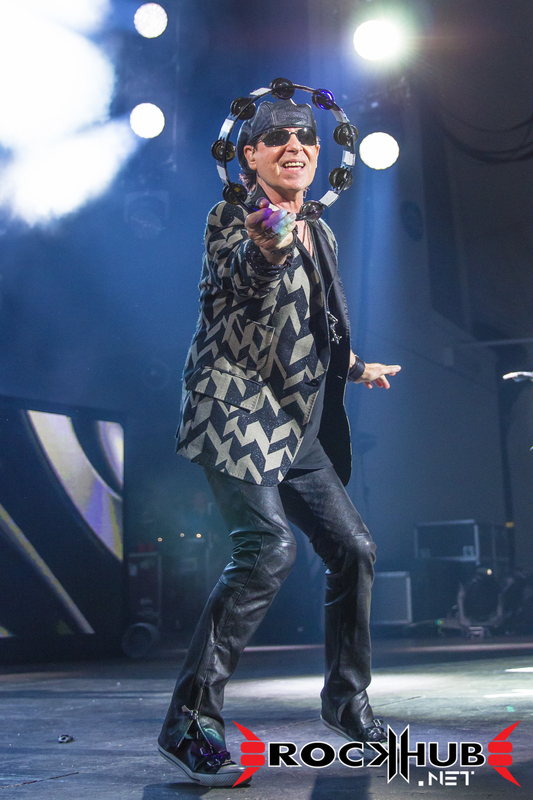 The band kicked off the show with “Going Out with a Bang” from their latest offering Return To Forever, followed by the classics “Make It Real,” “The Zoo,” and “Coast To Coast.” The band performed a varied set covering many hits from their long and successful career. 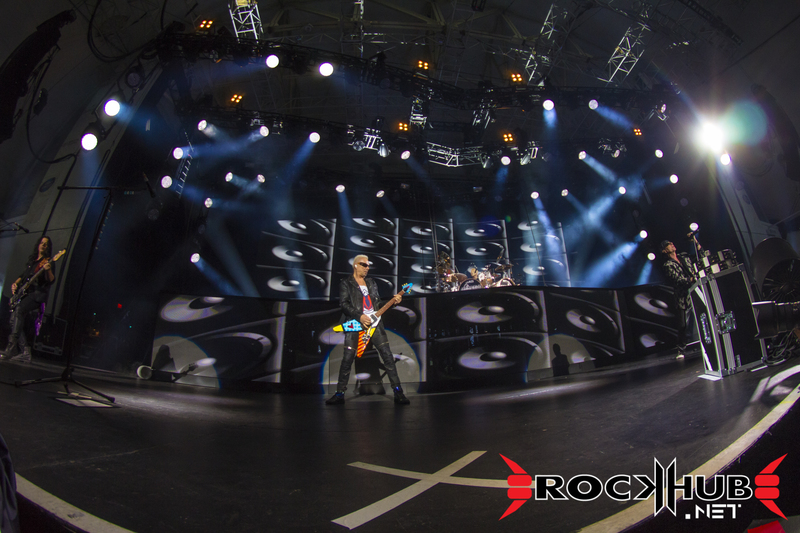 See below for the full set list. 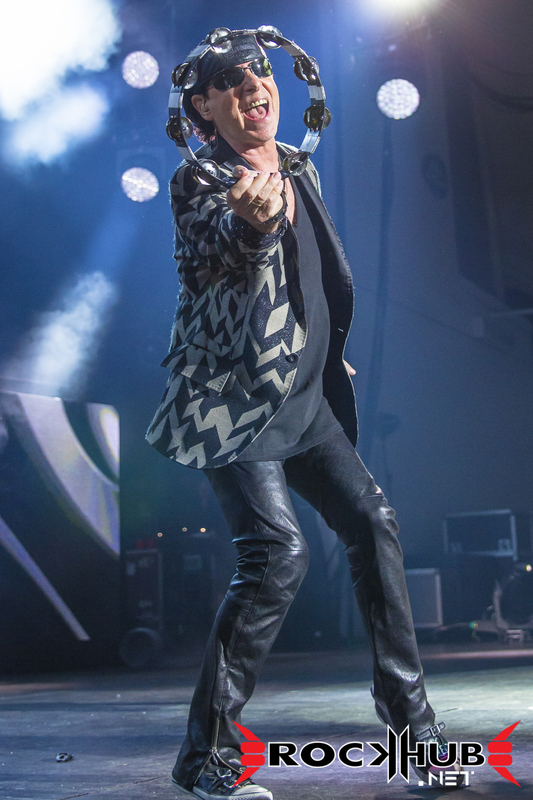 From a photographer’s standpoint, the lighting was superb throughout the night. 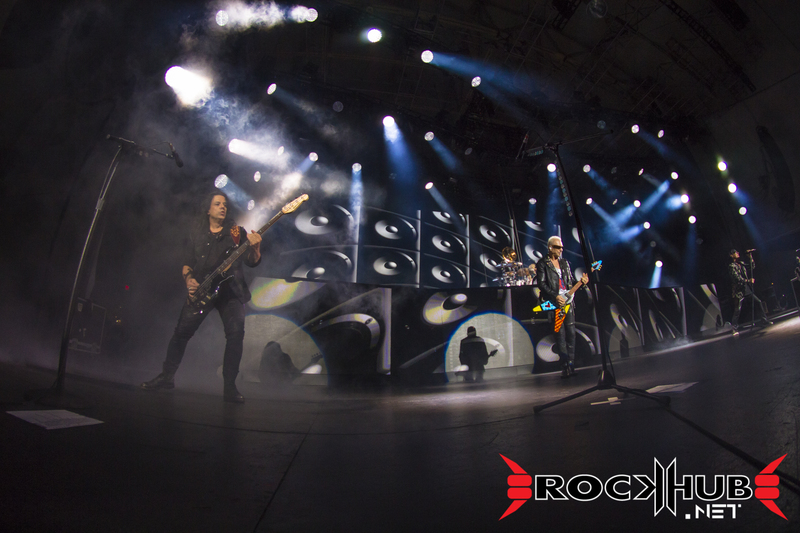 Some bands (purposefully or otherwise) limit the amount of frontal light that they get when photographers are on the pit, but not this band. 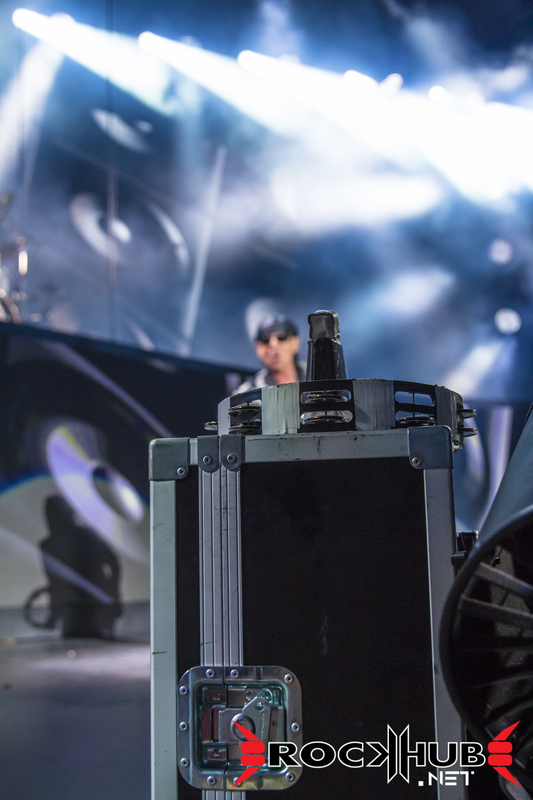 They were perfectly lit. 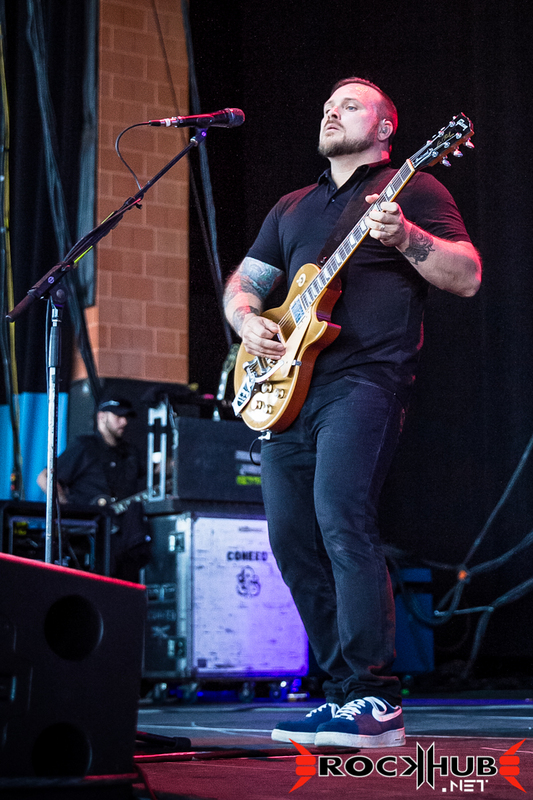 All band members were an absolute joy to photograph. 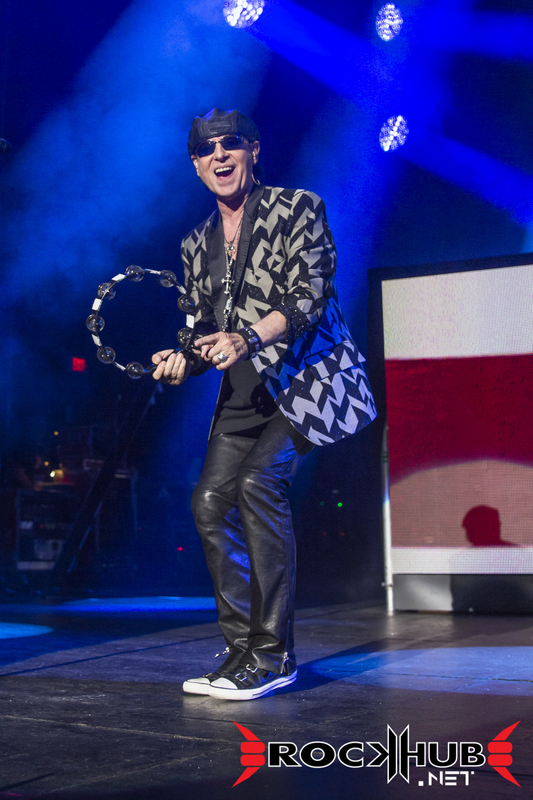 When a band look like they’re having fun onstage, it shows, and that positive energy is reflected in the photos. 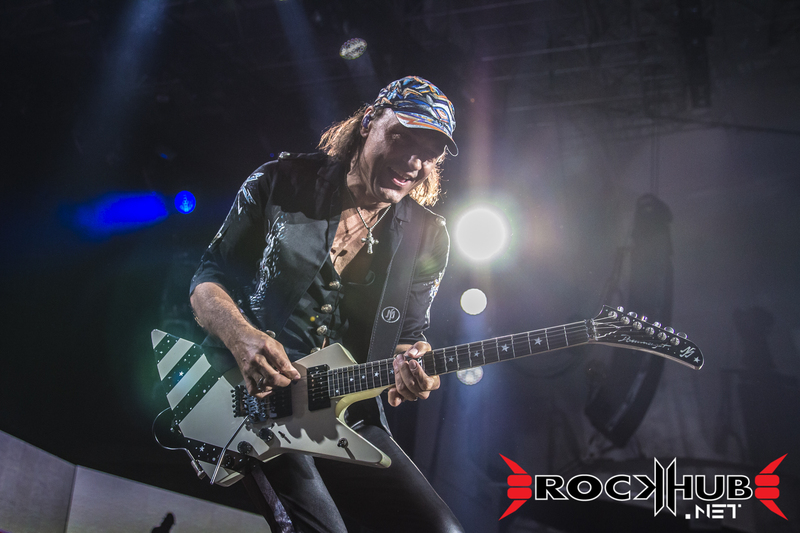 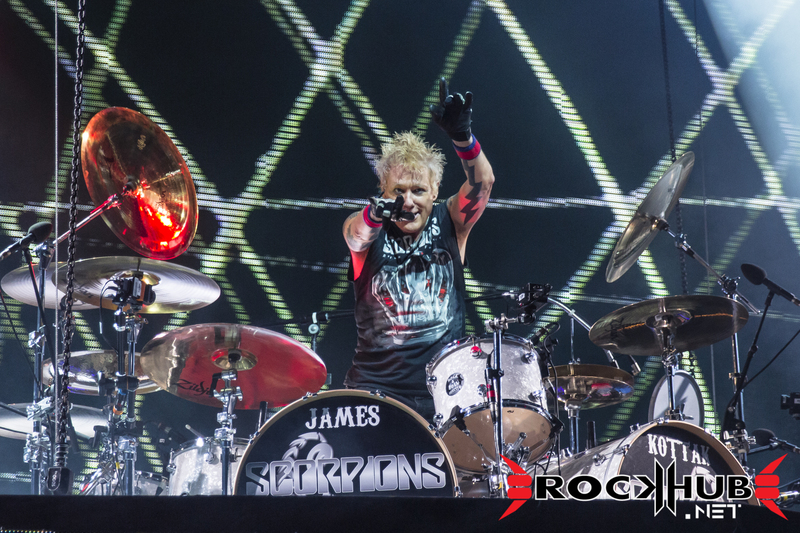 Make sure that you catch SCORPIONS in a city near you! 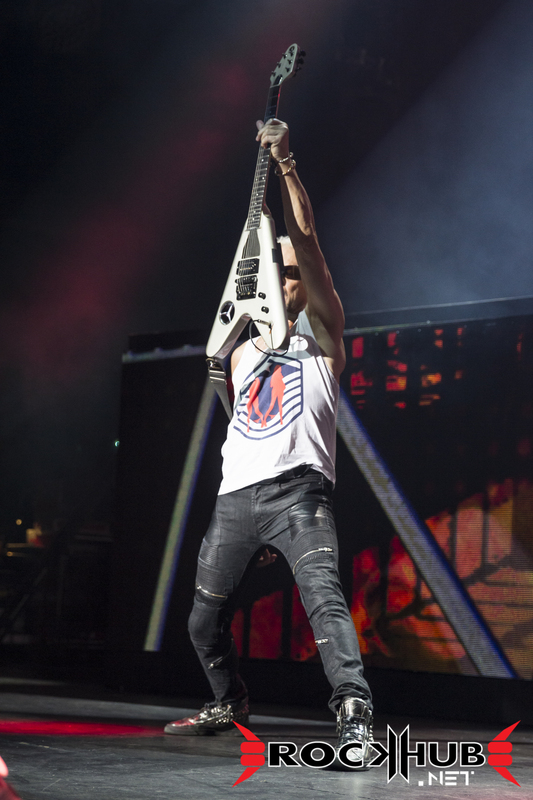 It was without a doubt one of the best shows of the year.